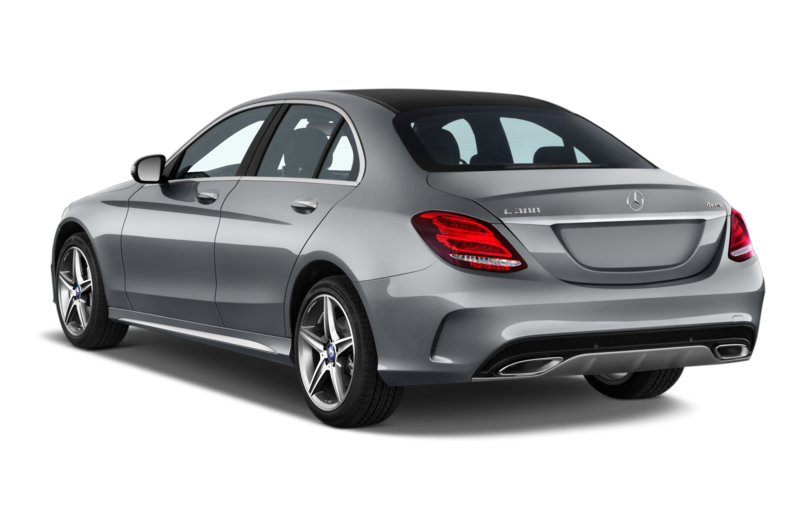 Past versions of the Mercedes-Benz C-Class have generally been solid cars, but they haven’t always felt particularly special. 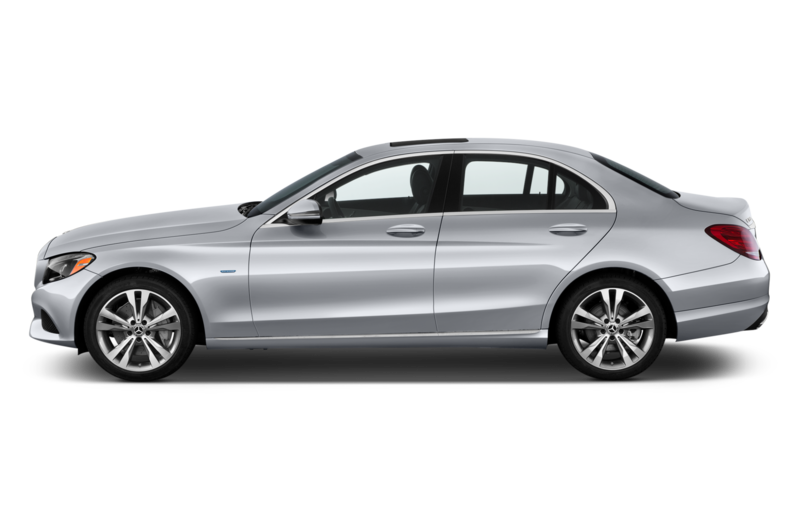 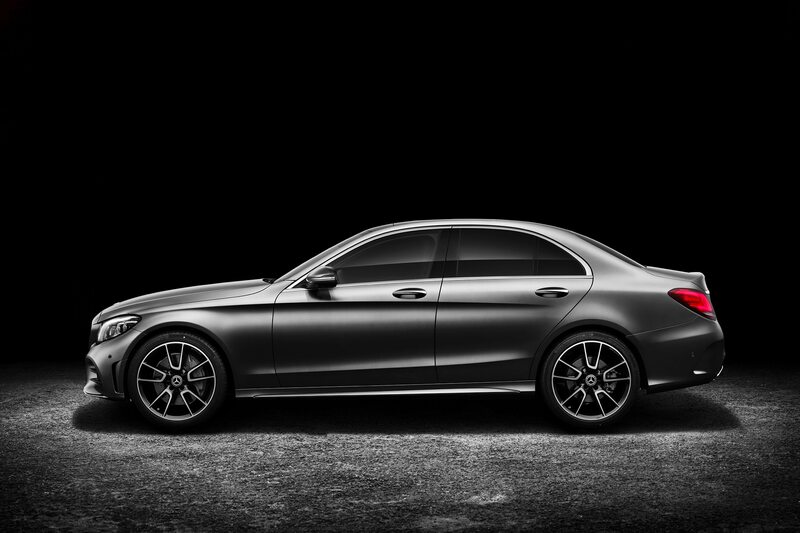 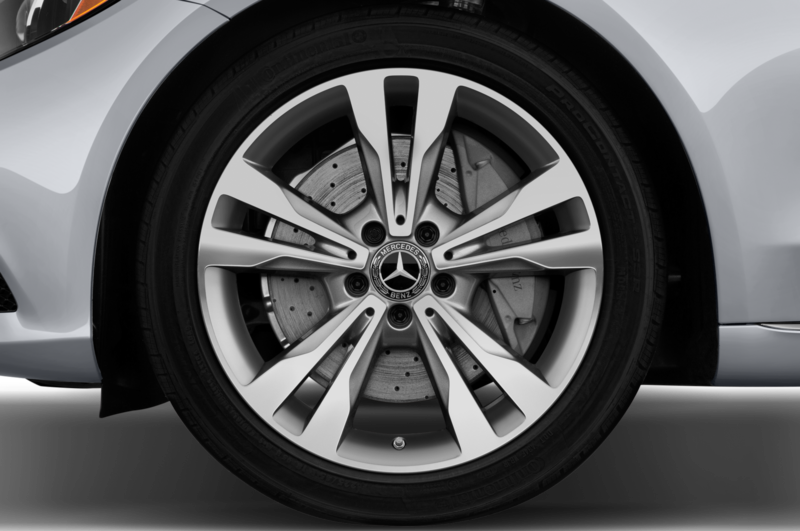 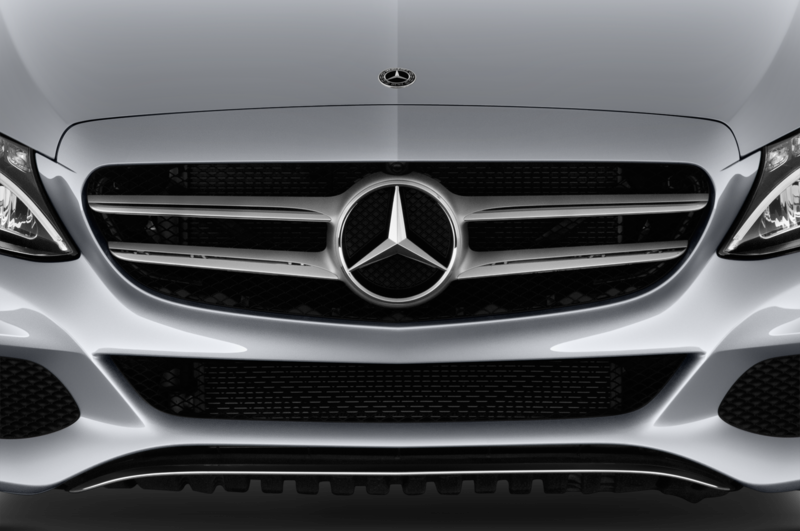 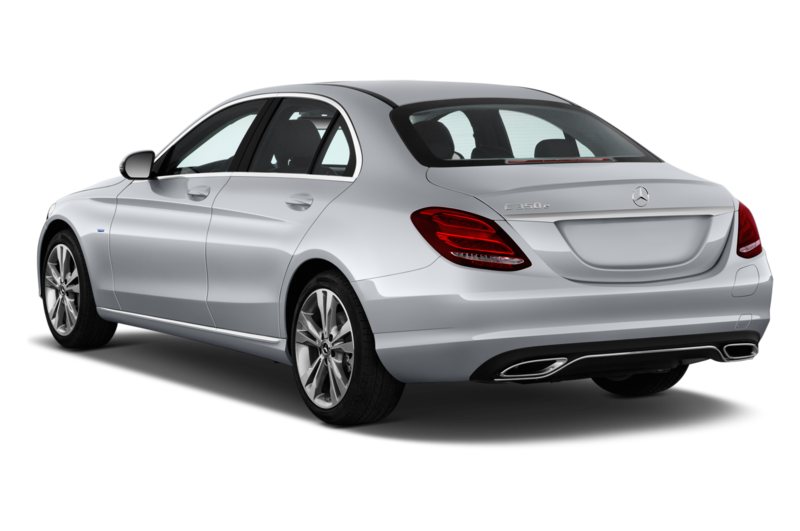 With the 2015 redesign of the C-Class, however, that all changed. 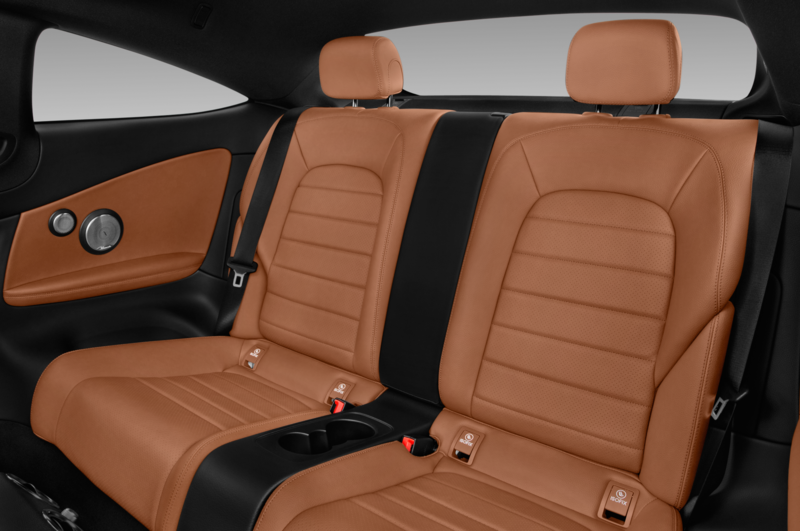 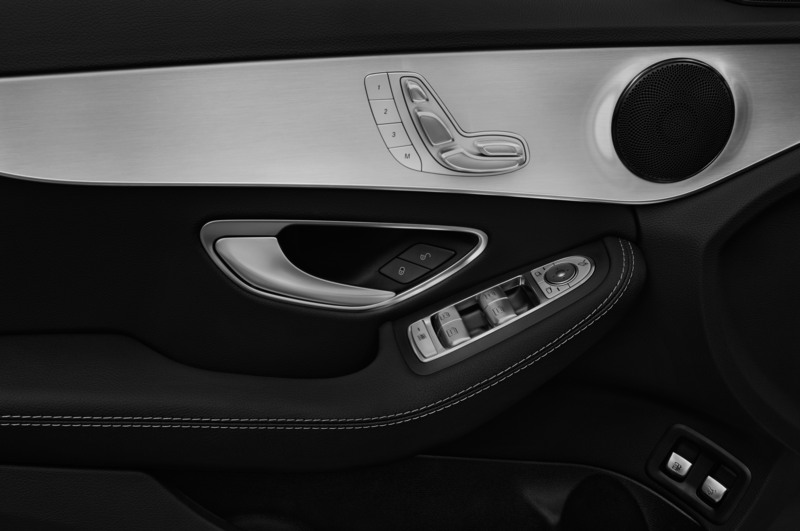 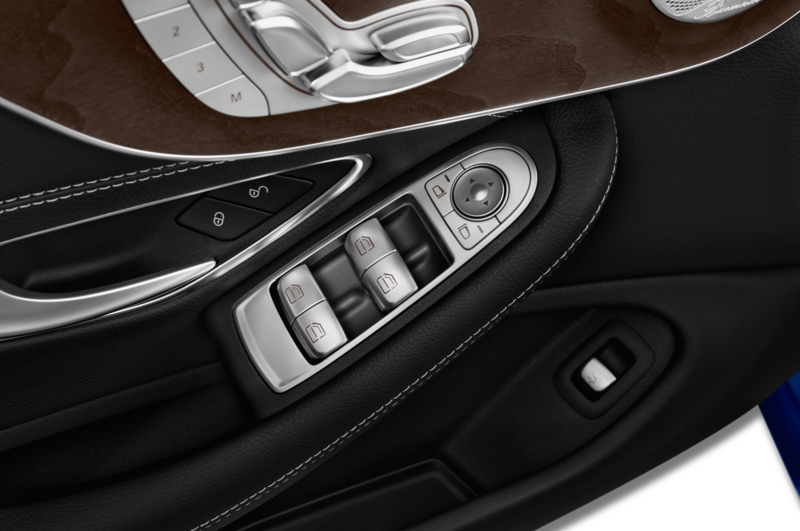 Not only does it now look like a smaller S-Class, the interior almost looks like it could be out of the S-Class. 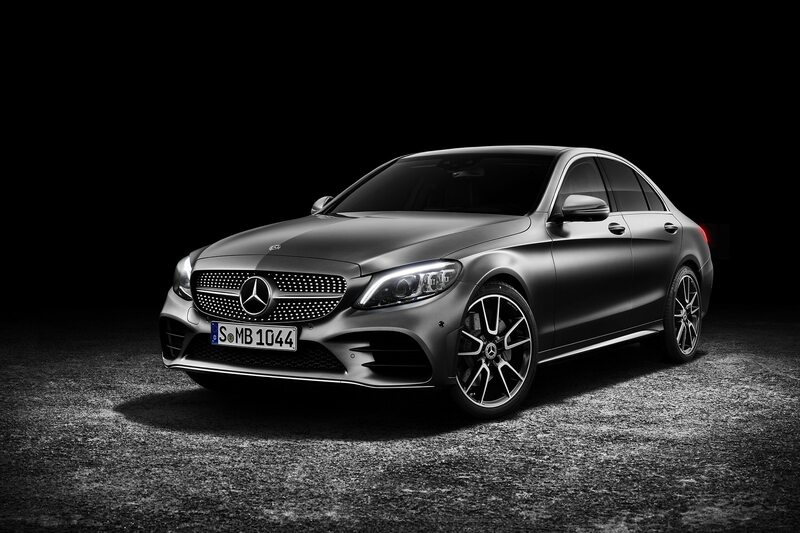 To keep it from feeling dated, though, Mercedes gave the 2019 C-Class an update that adds power, new standard features, and even more technology. 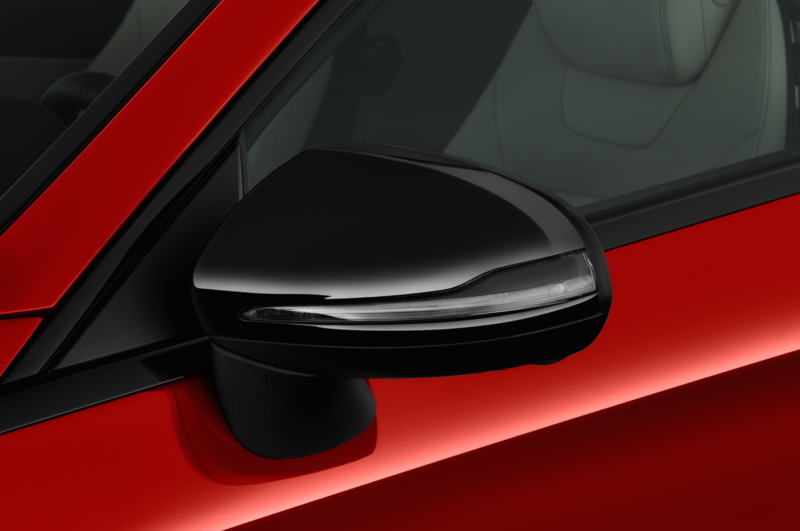 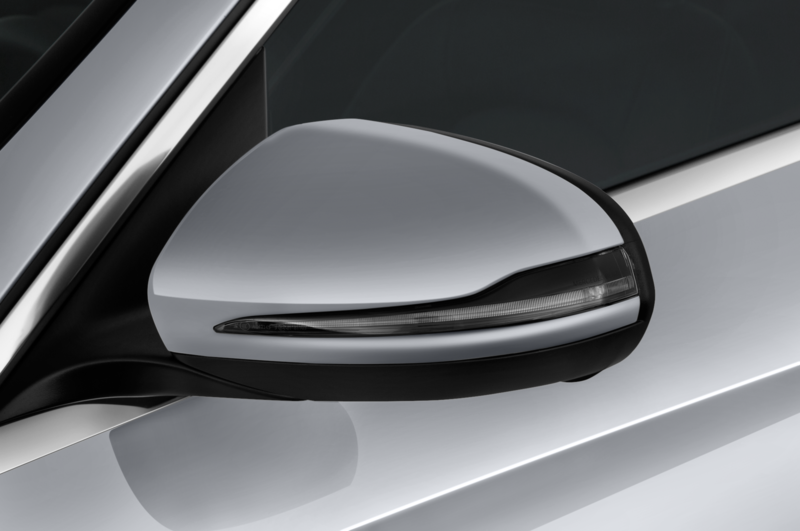 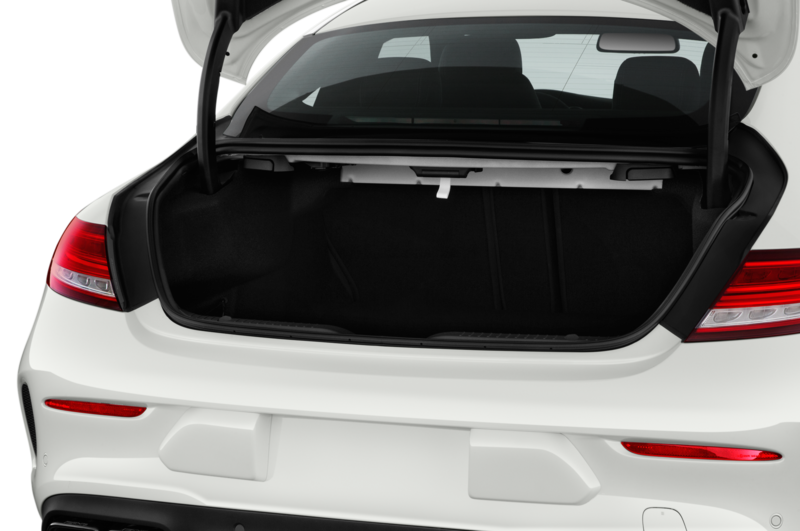 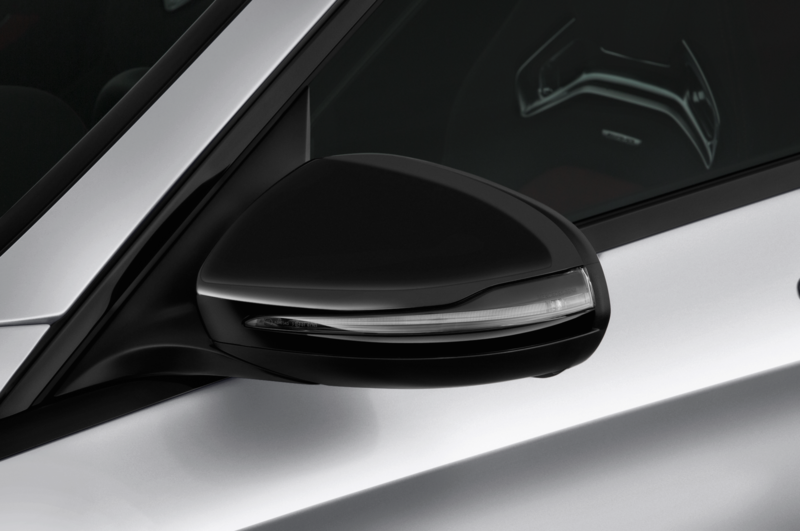 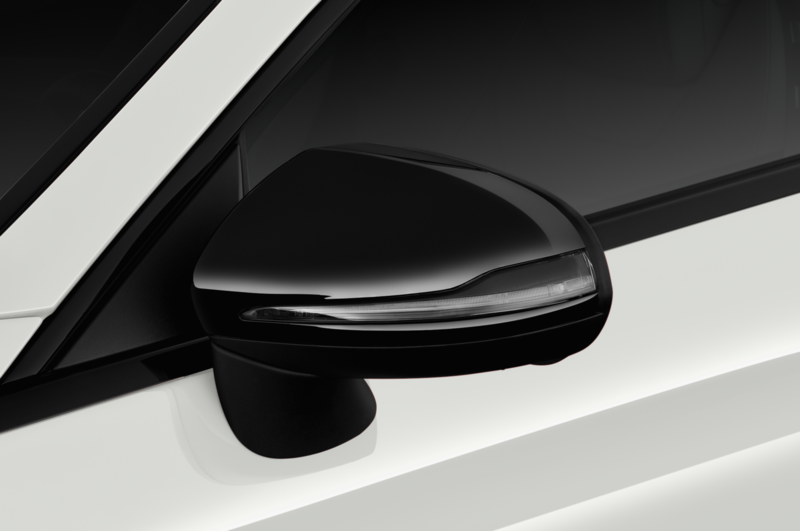 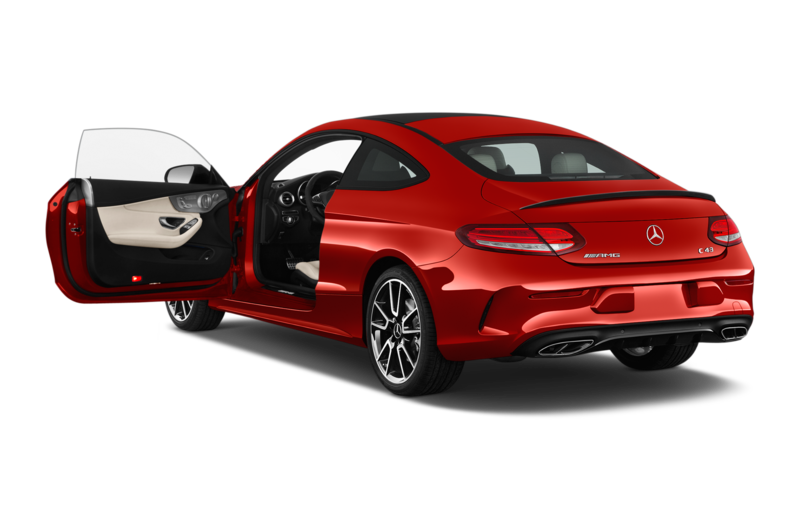 Exterior changes have been kept subtle and focus on refining the car’s appearance more than changing it. 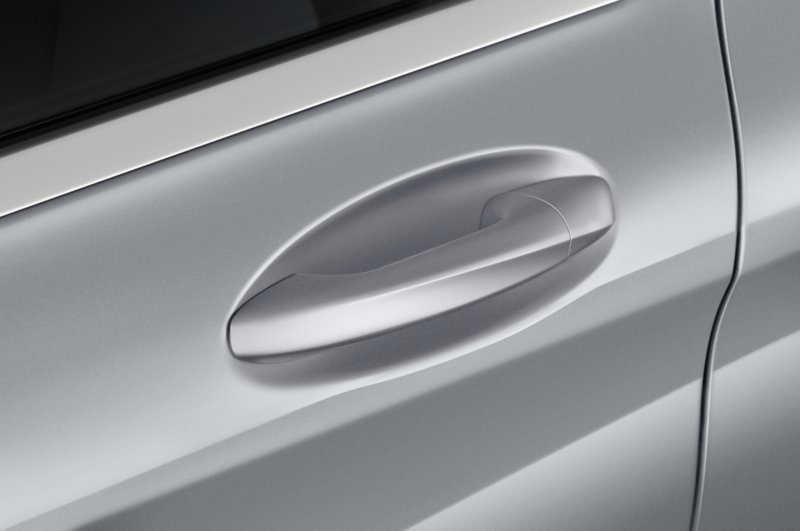 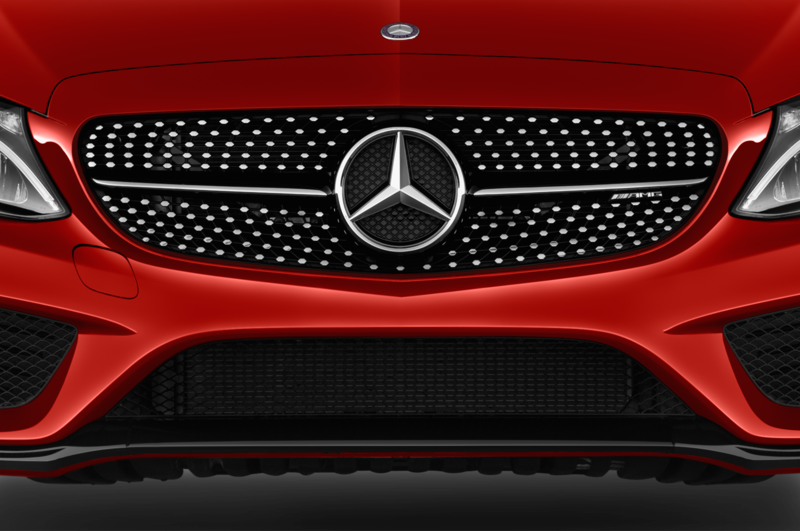 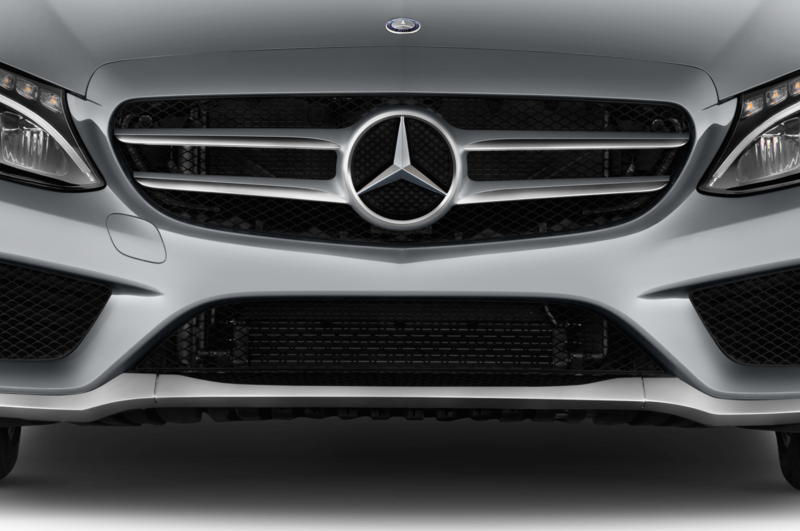 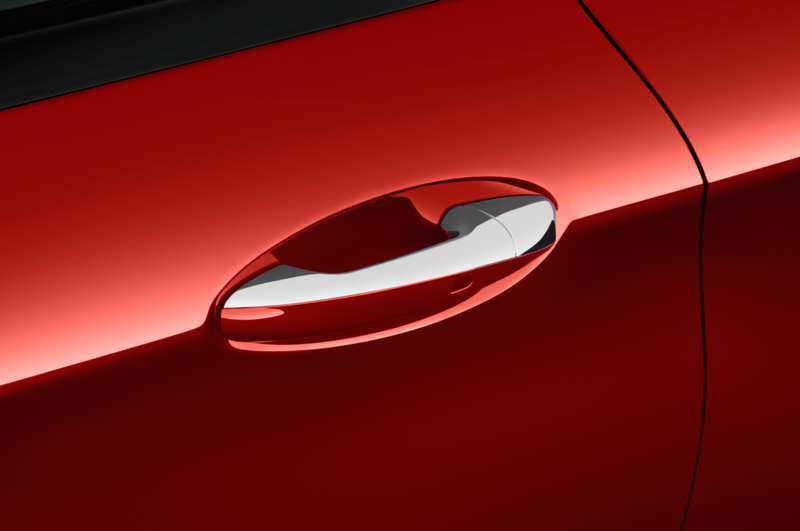 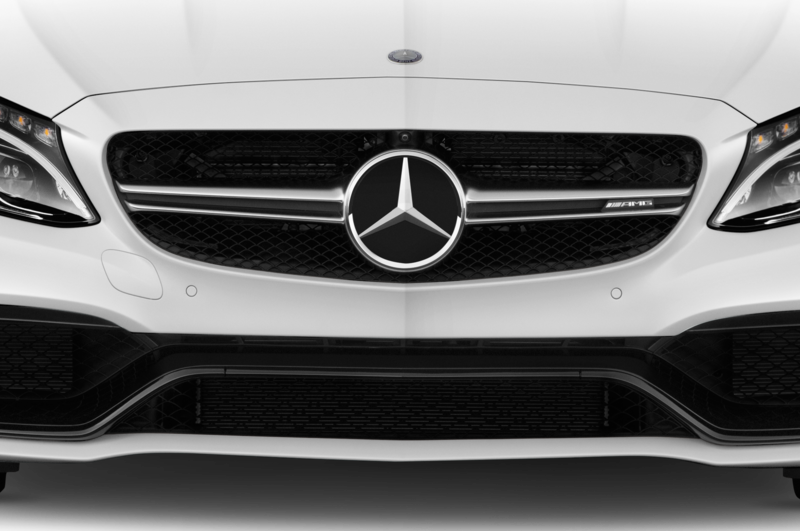 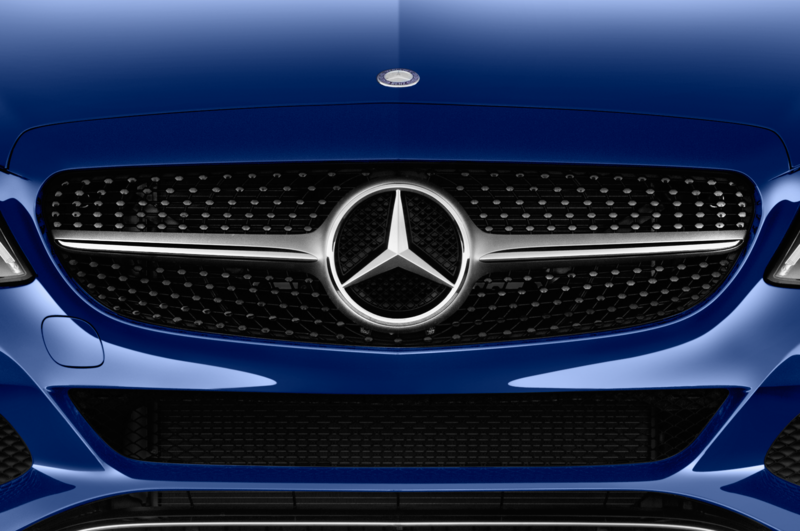 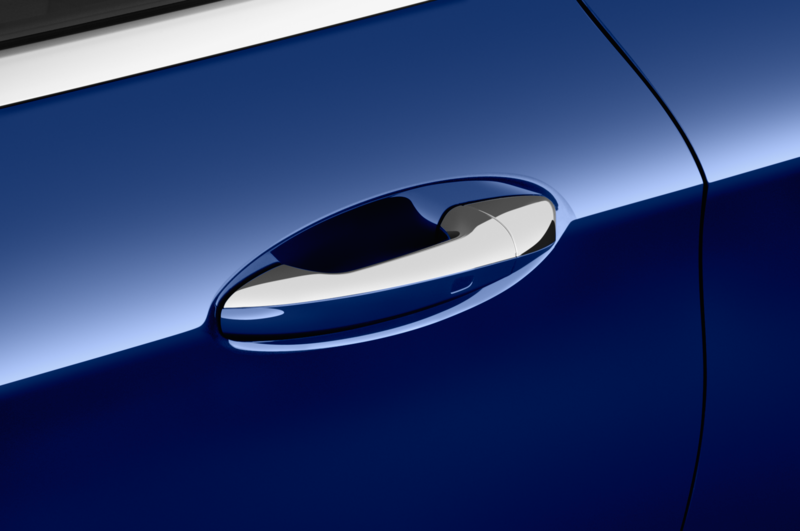 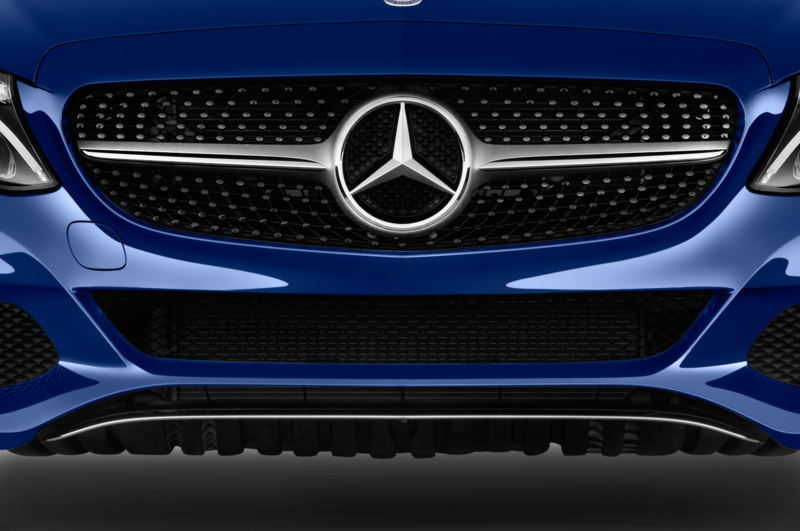 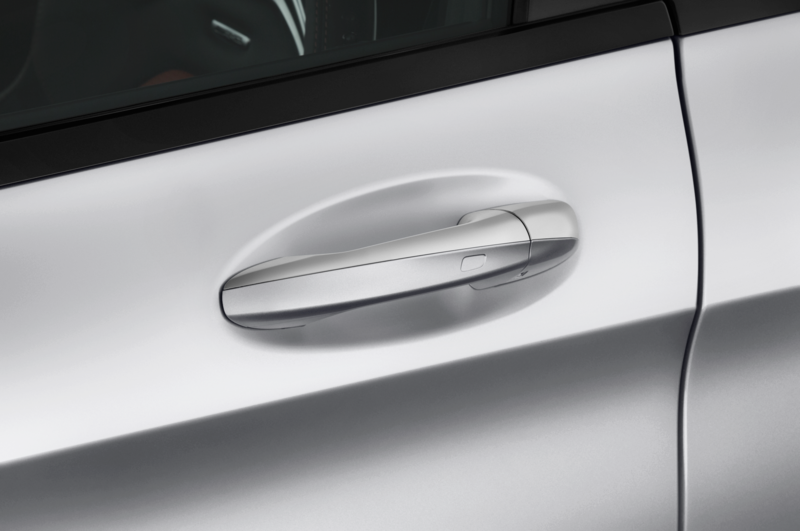 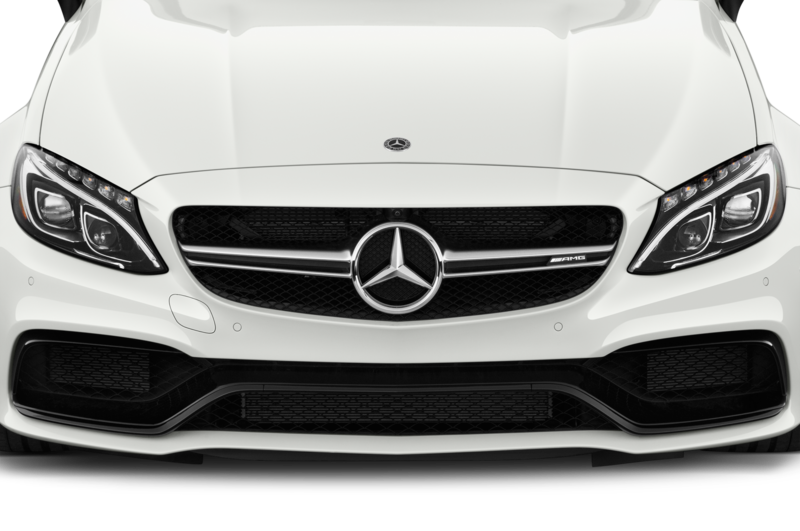 The new front and rear bumpers are well-integrated and help give the car even more of an S-Class feel. 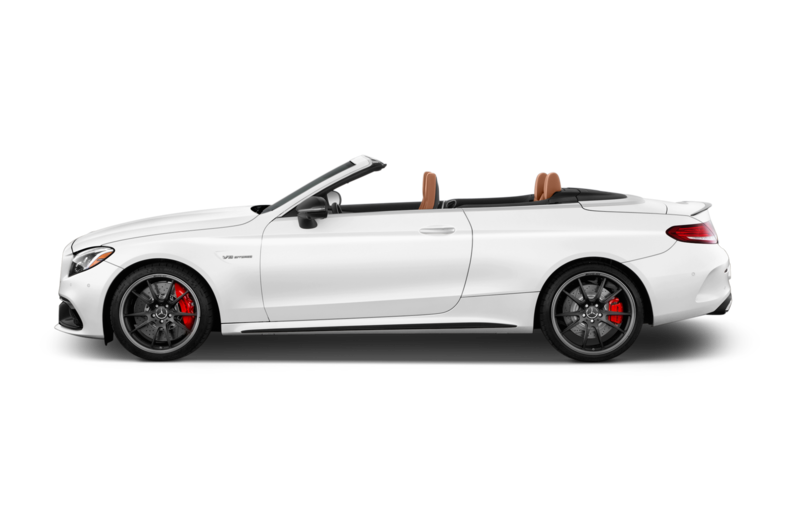 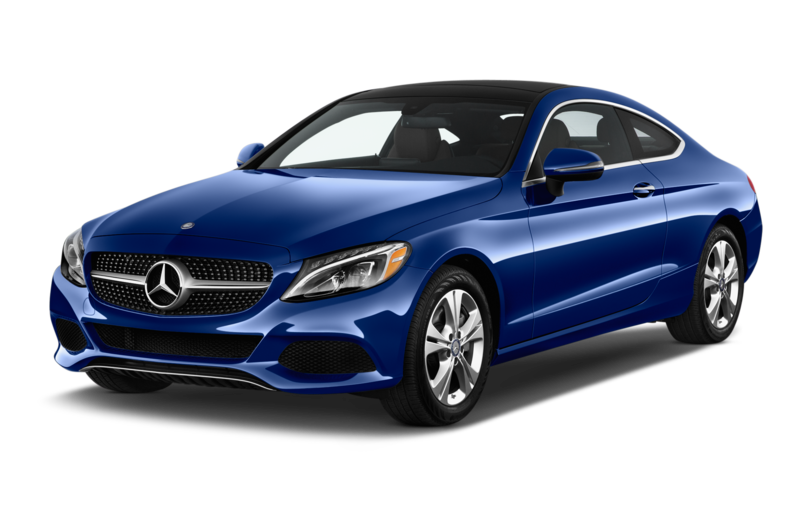 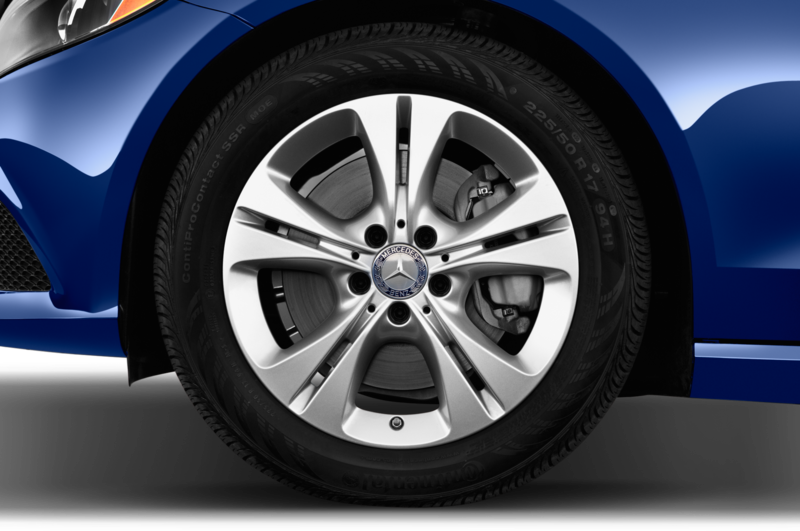 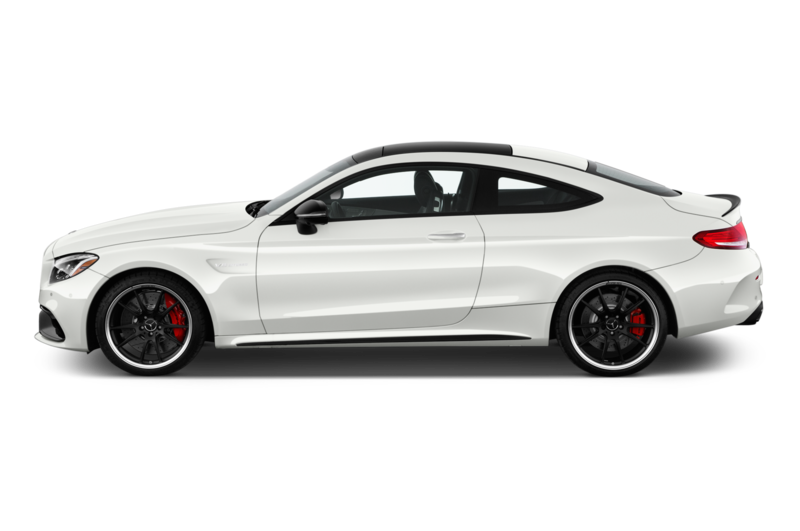 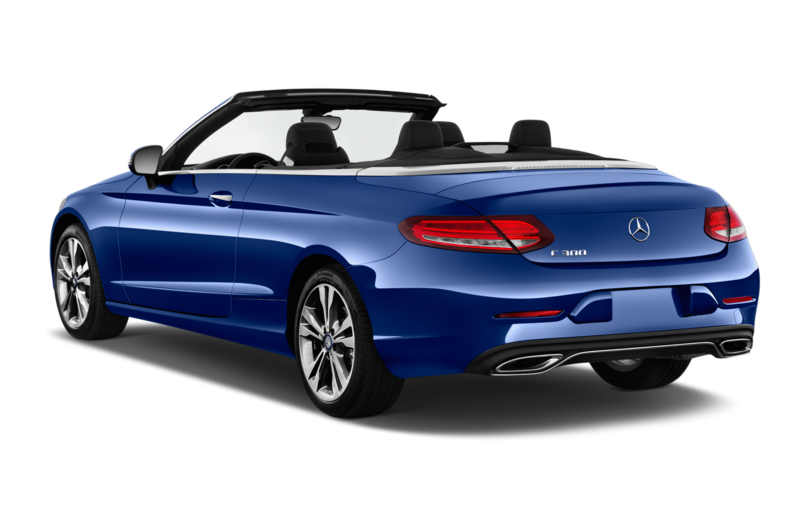 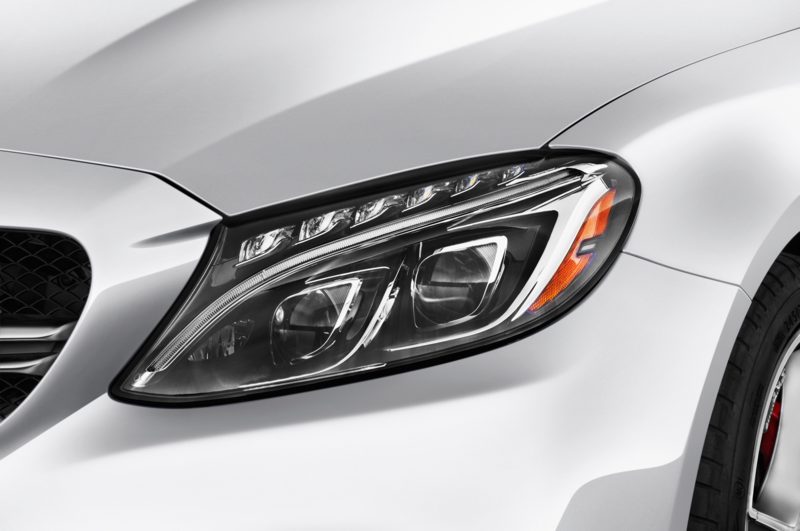 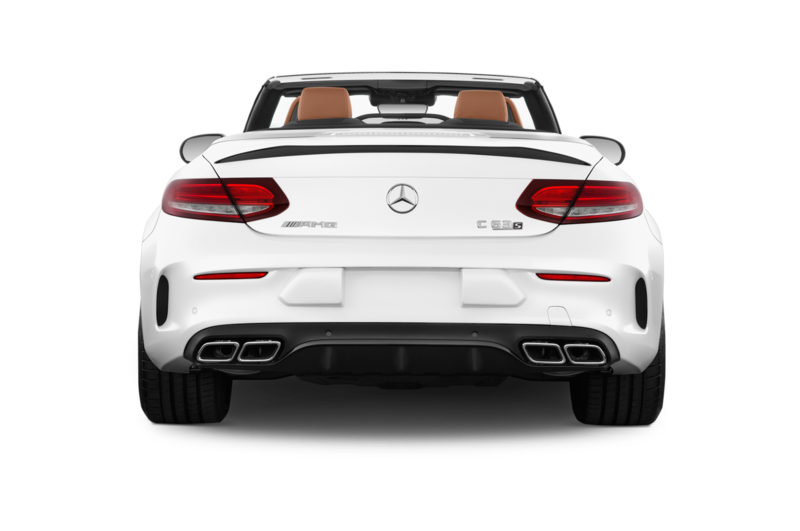 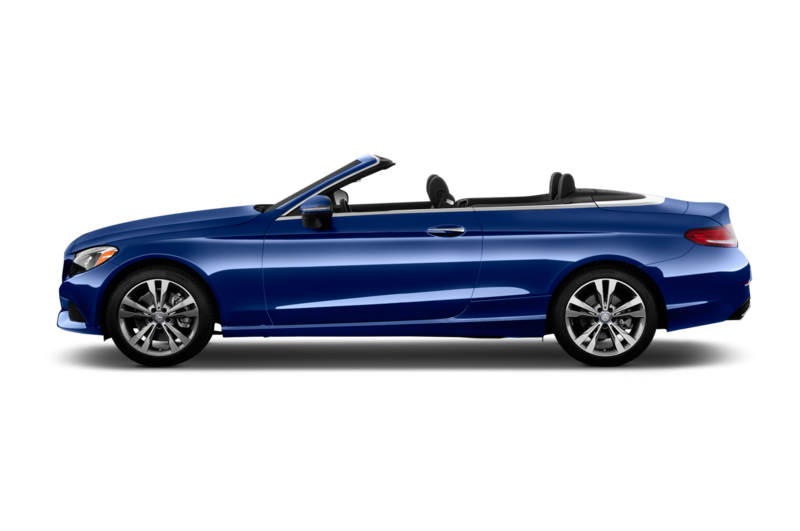 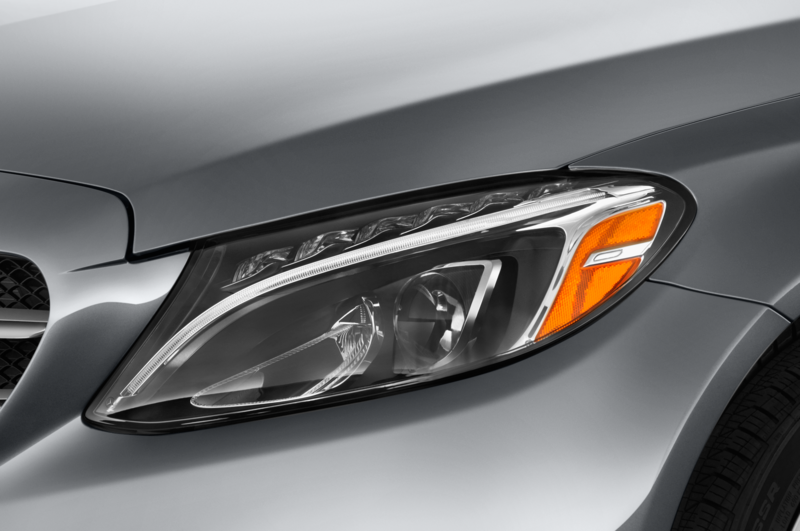 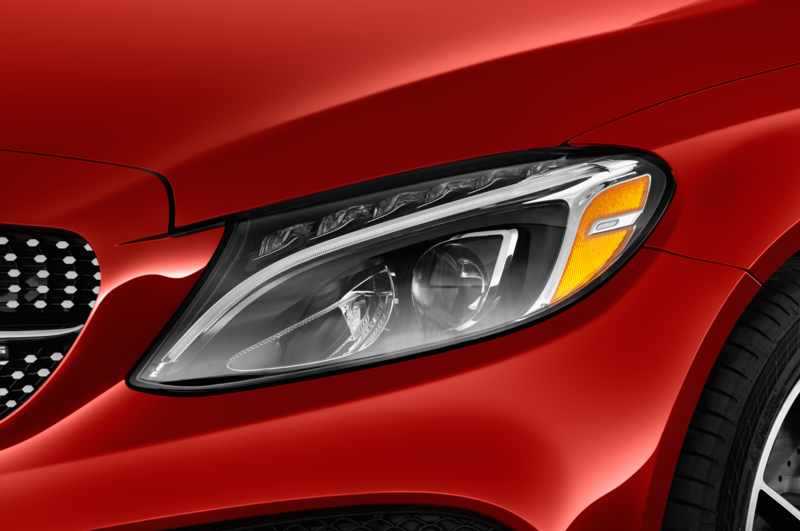 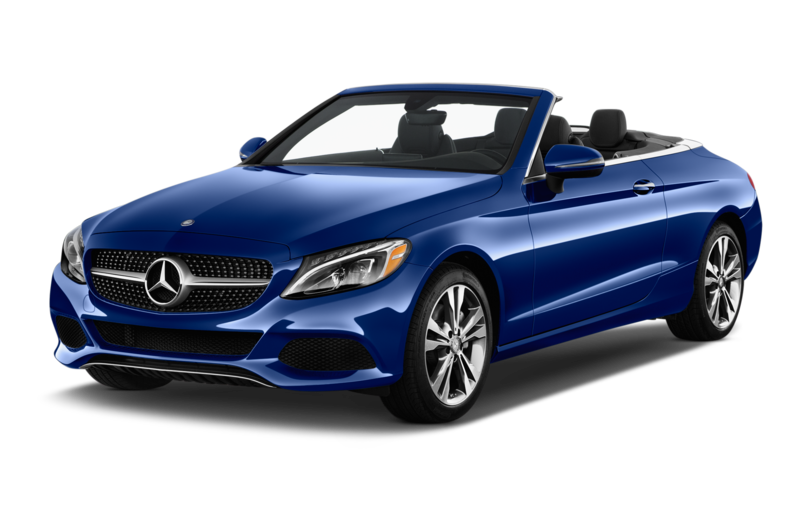 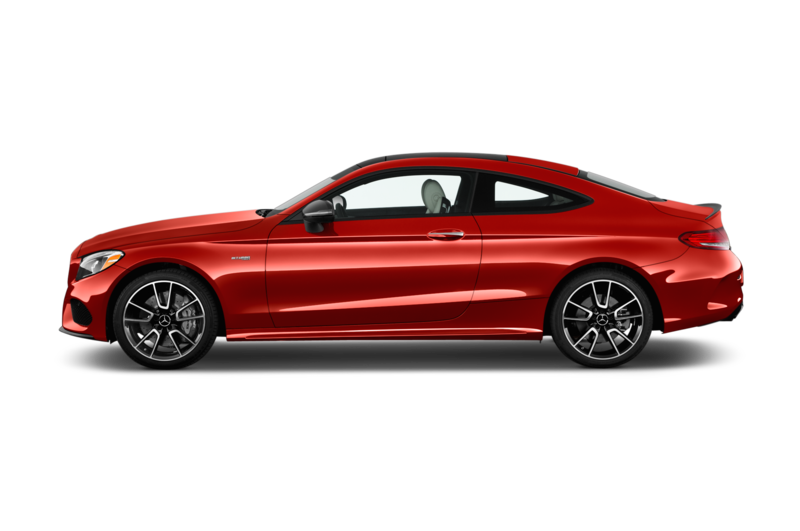 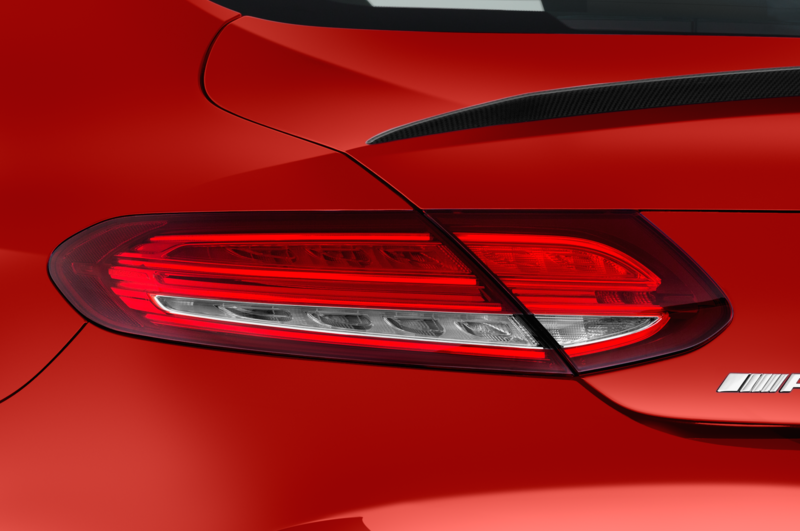 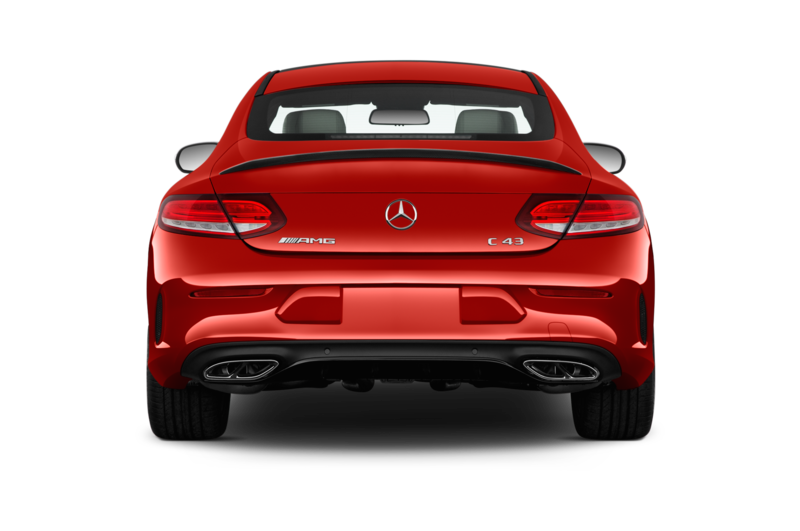 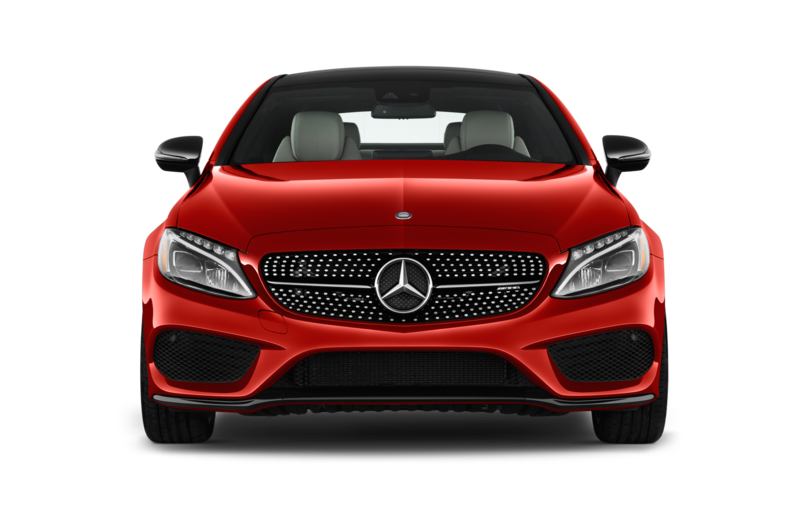 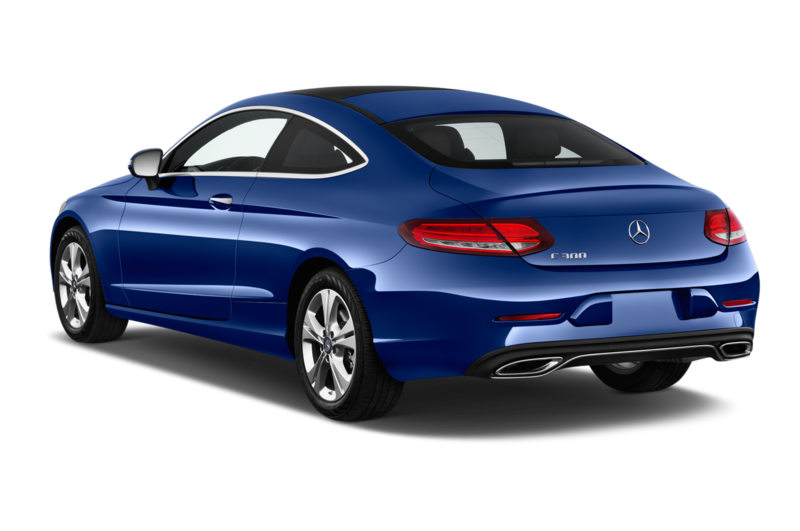 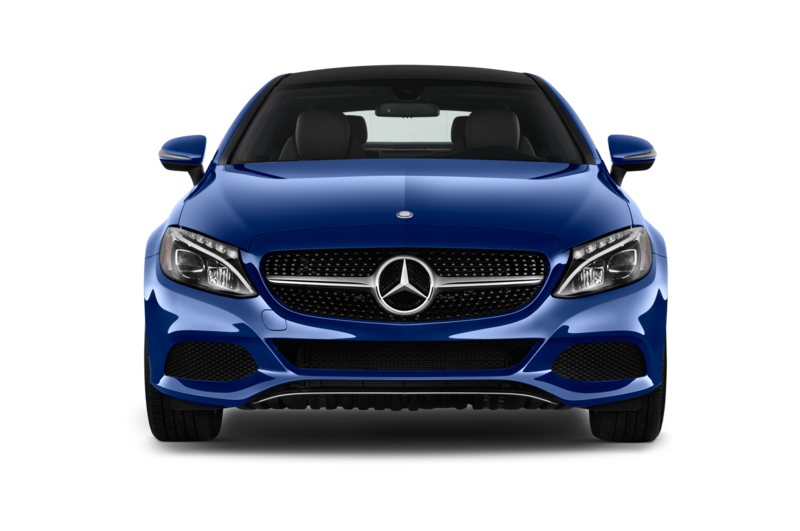 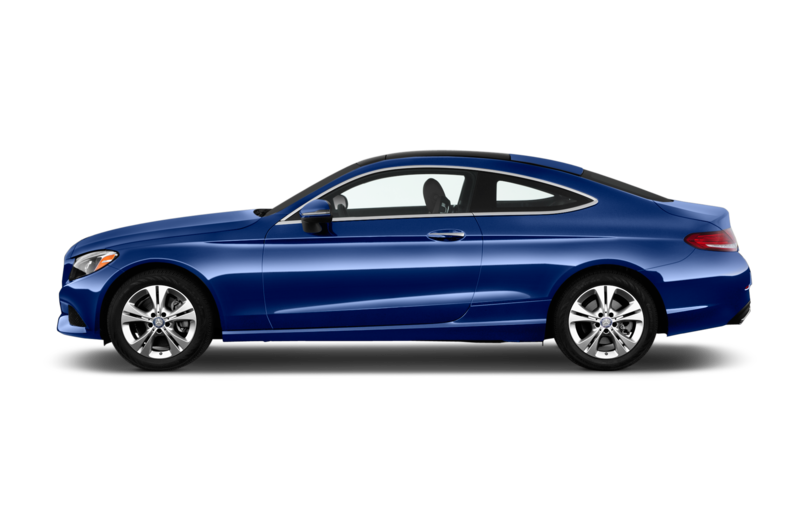 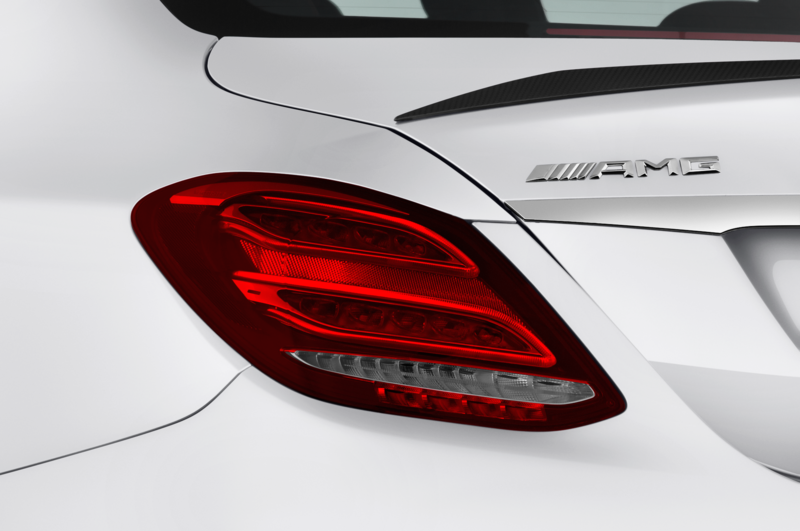 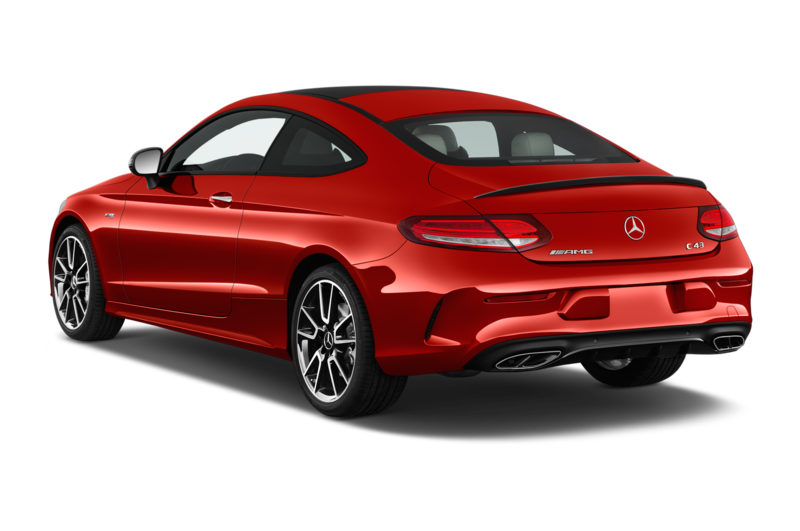 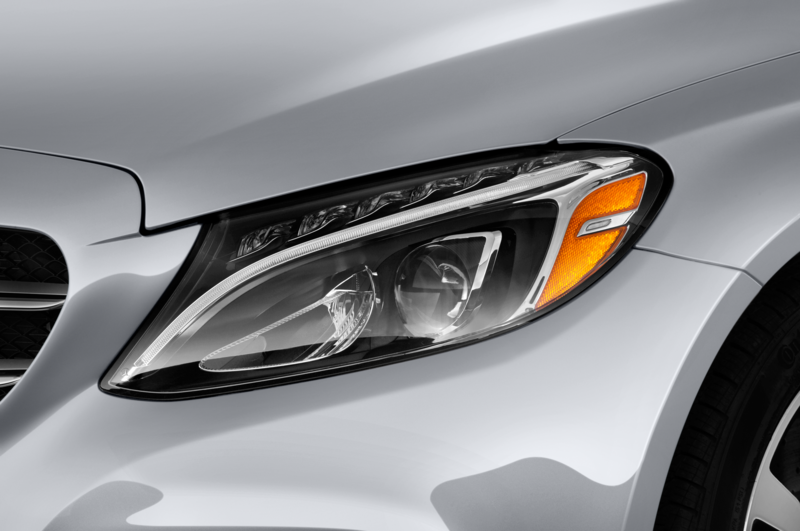 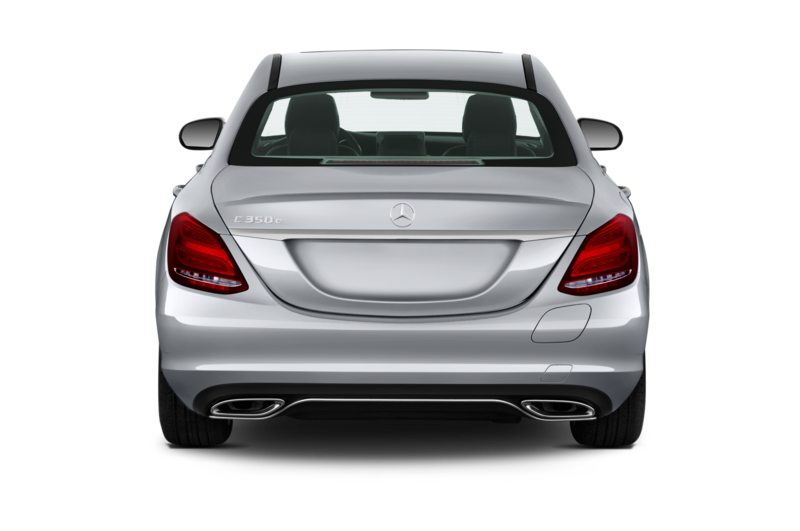 Mercedes also made LED headlights and taillights standard, designed new 17-inch wheels for the base model, added two paint colors, and redesigned the key. 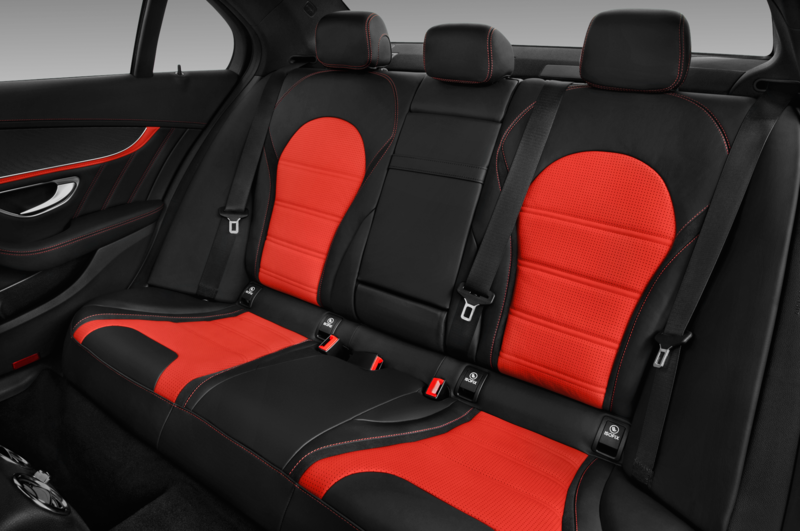 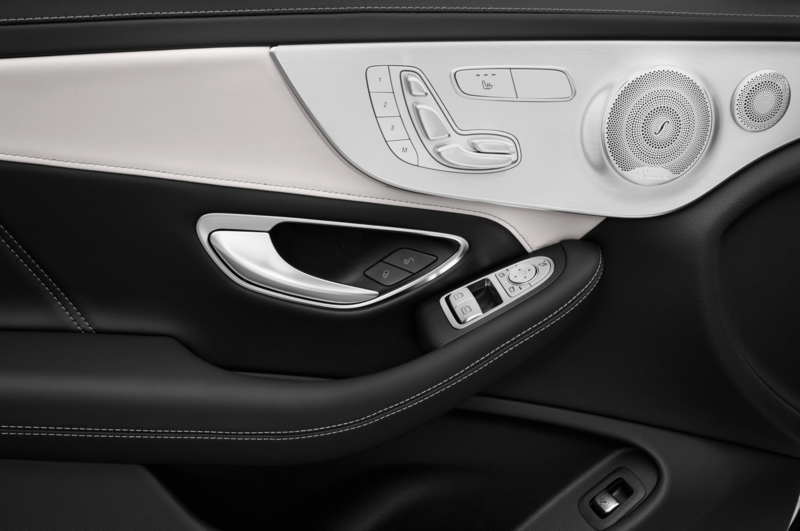 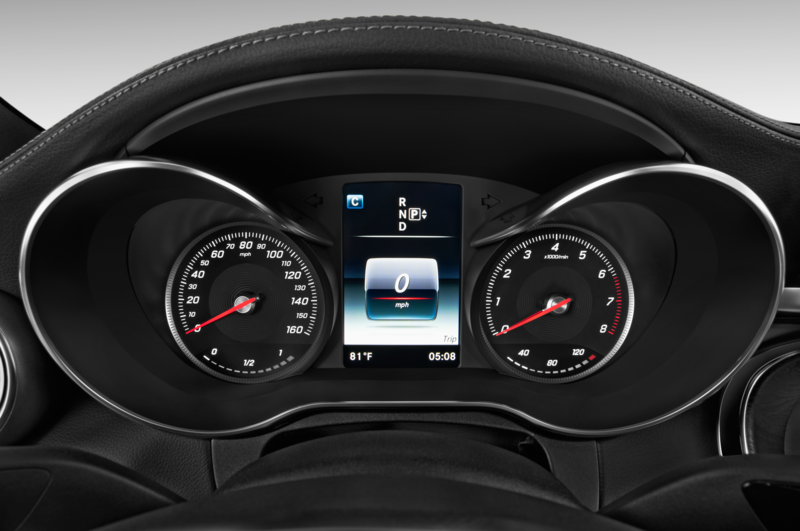 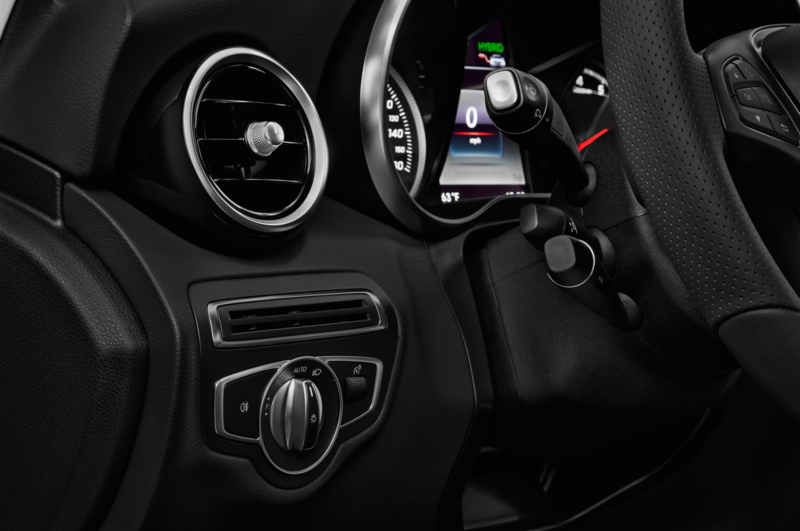 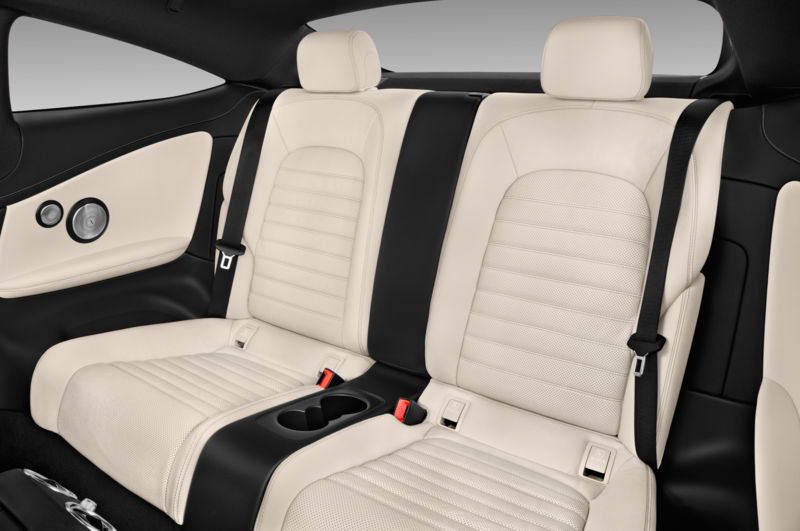 Inside, the C-Class gets a new steering wheel, but beyond that, the cabin looks pretty much the same. 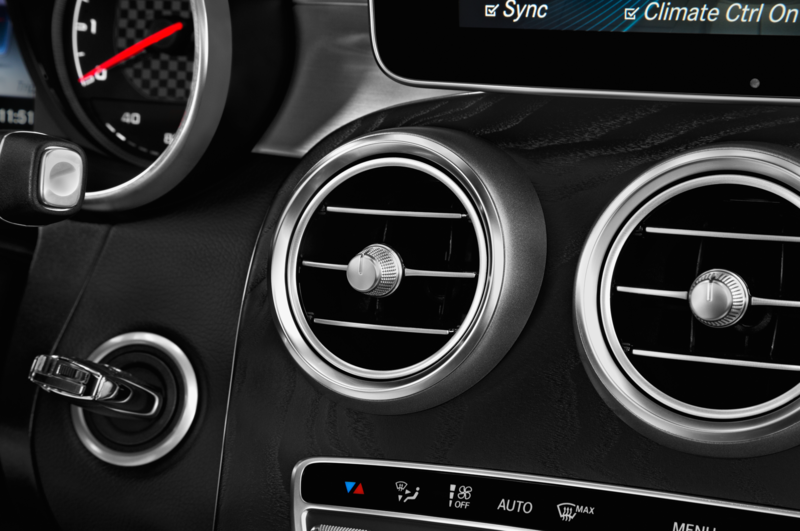 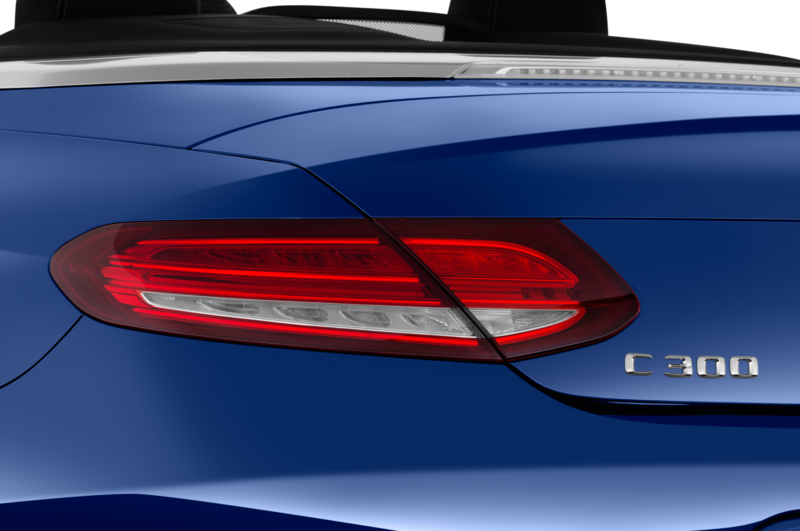 But while the visual updates are minimal, the C-Class didn’t necessarily need any major design changes. 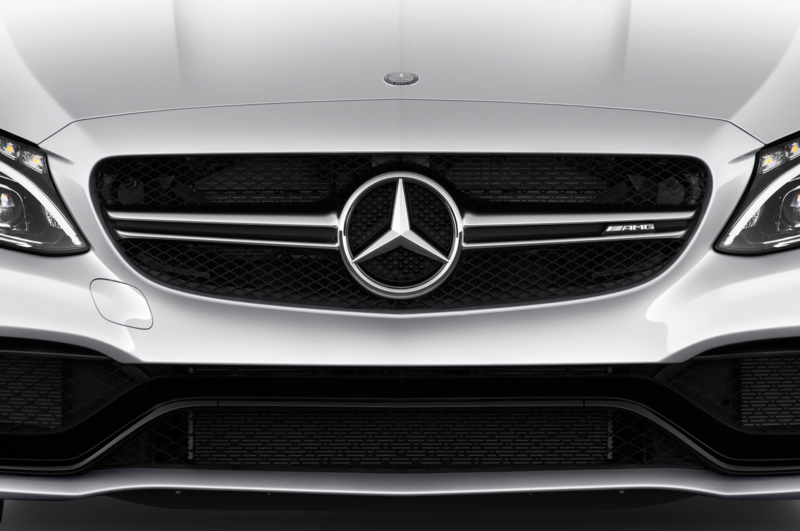 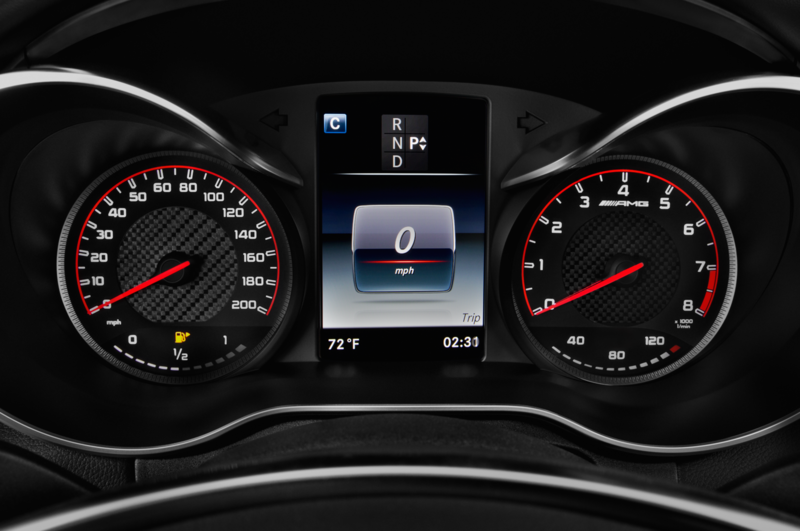 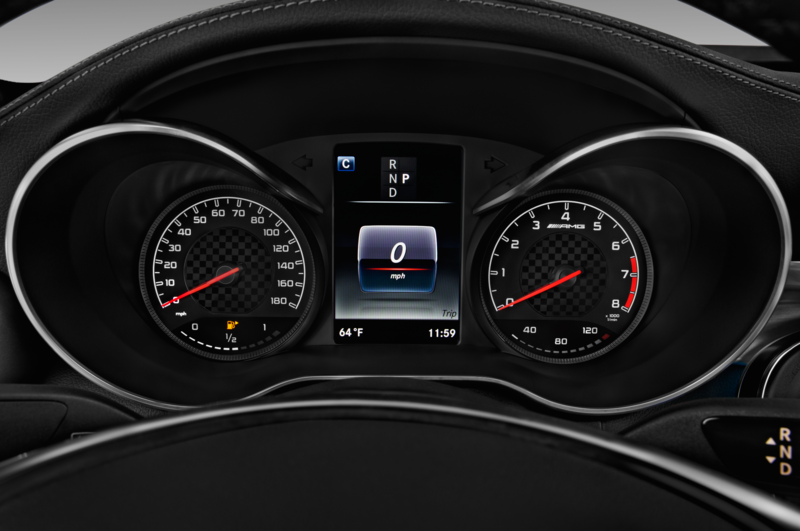 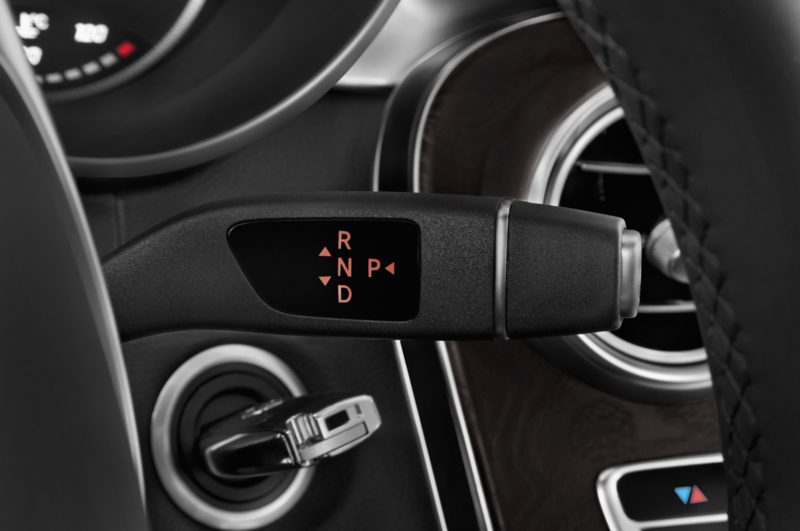 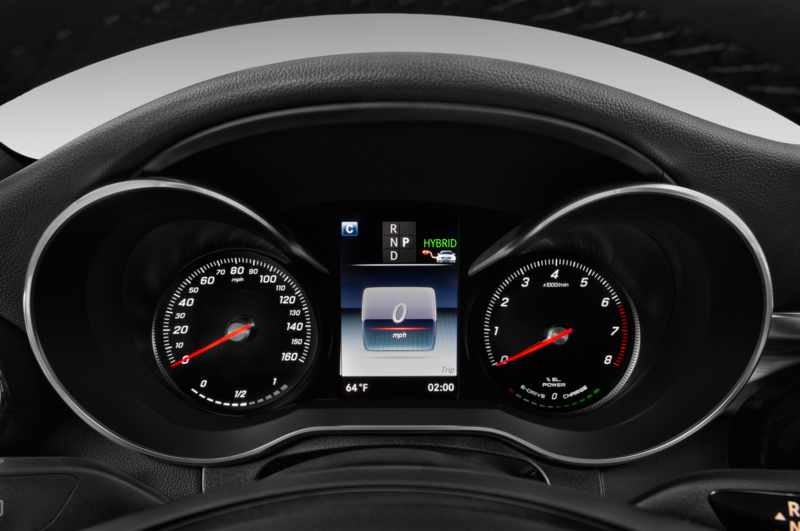 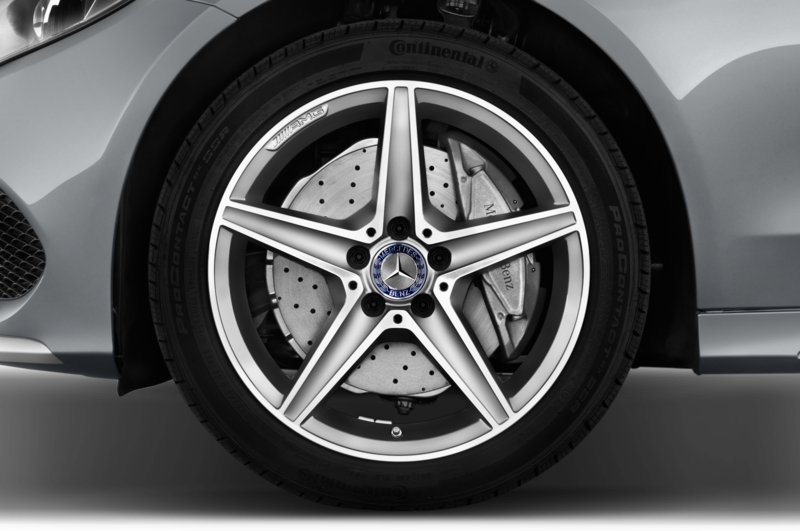 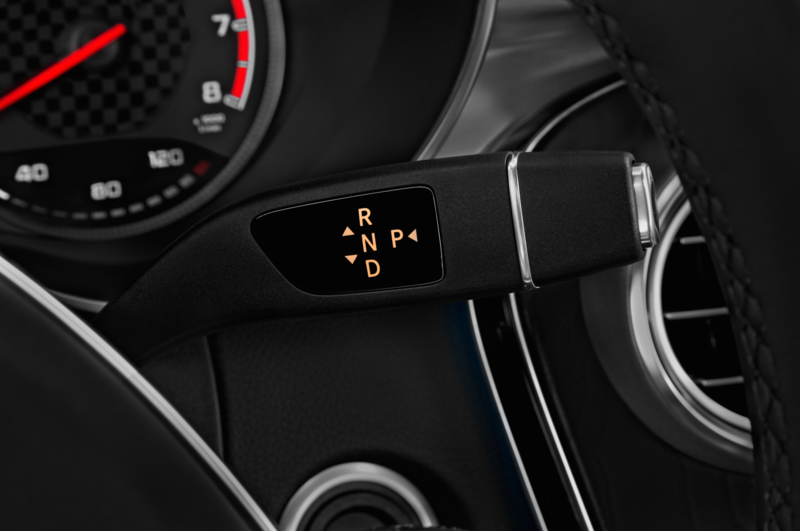 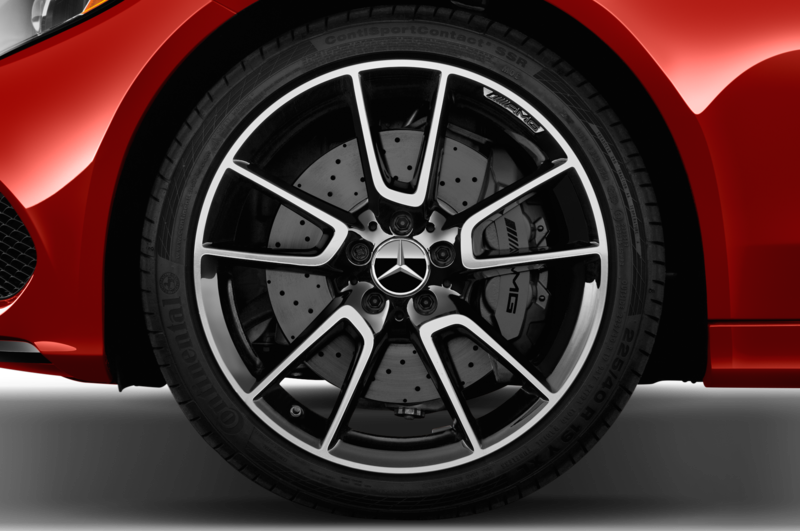 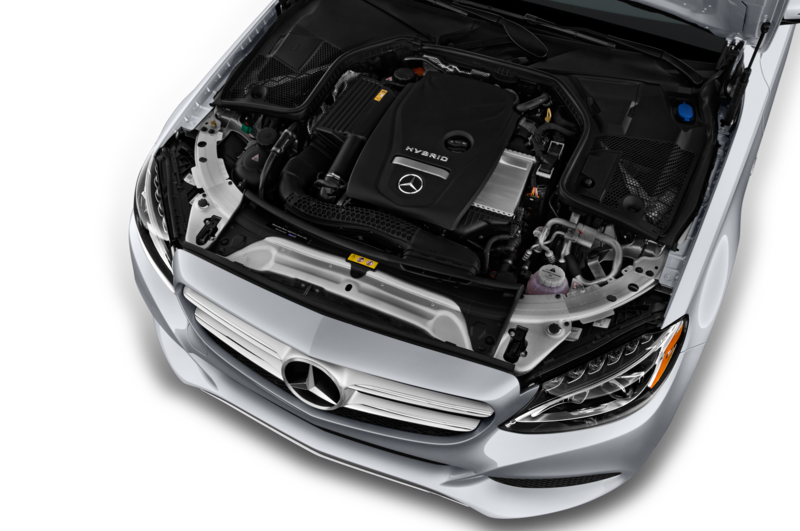 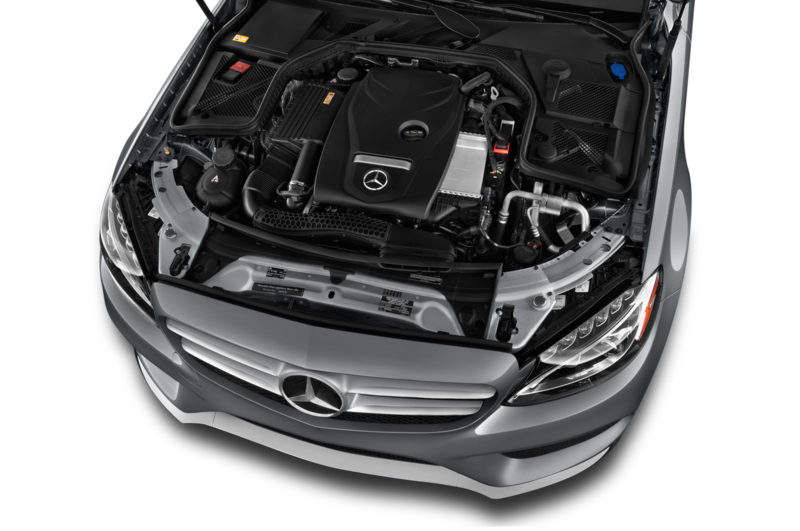 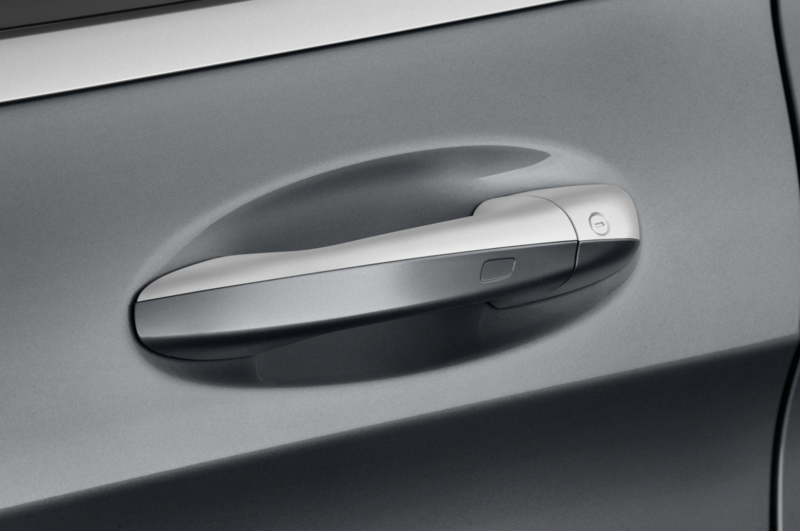 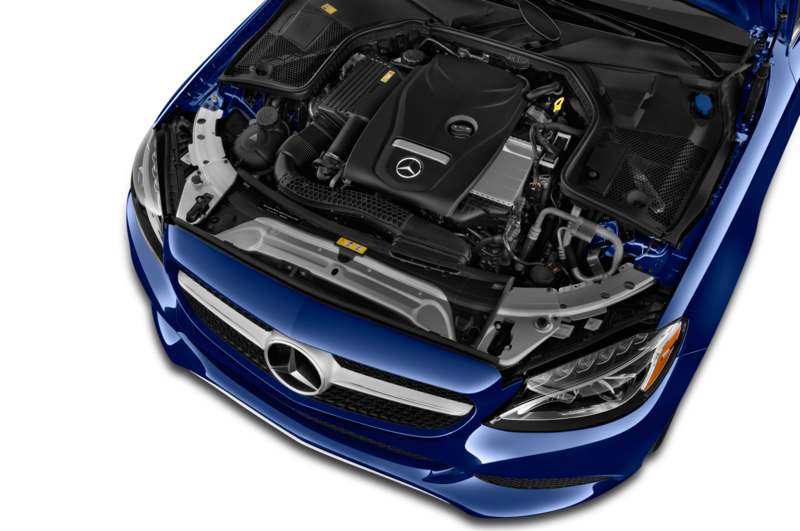 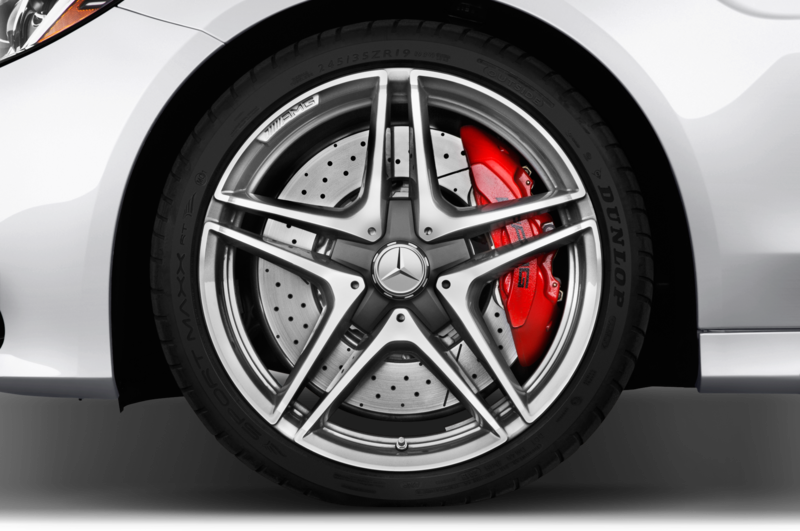 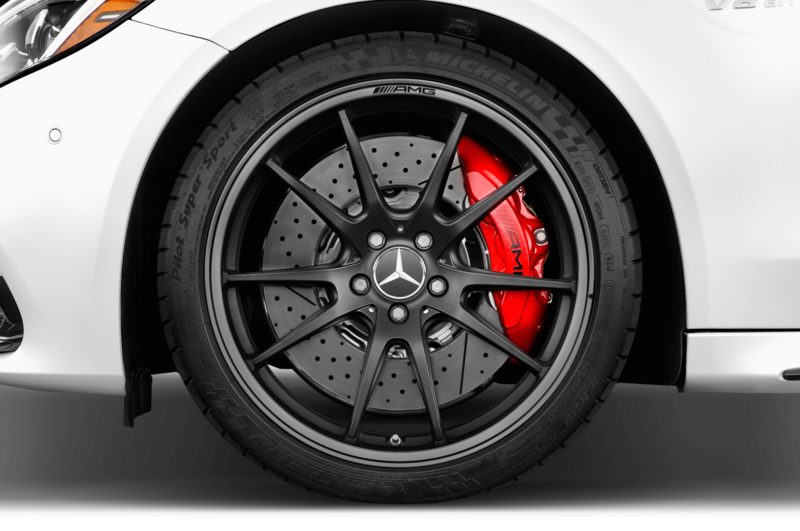 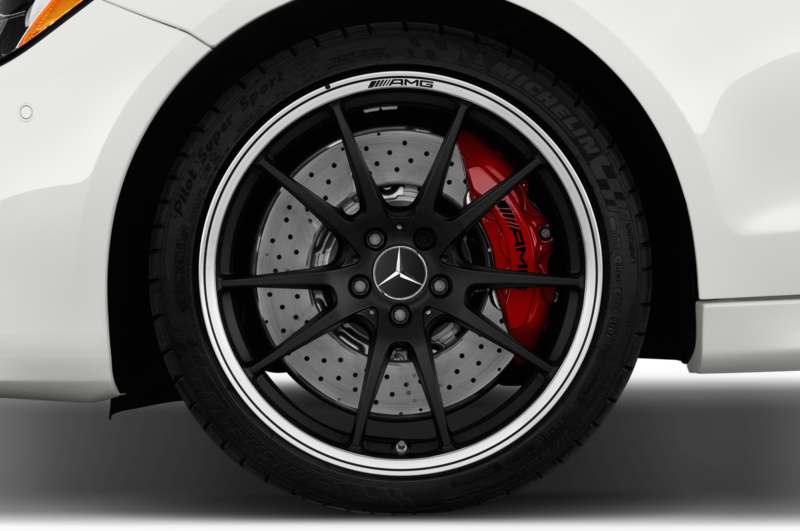 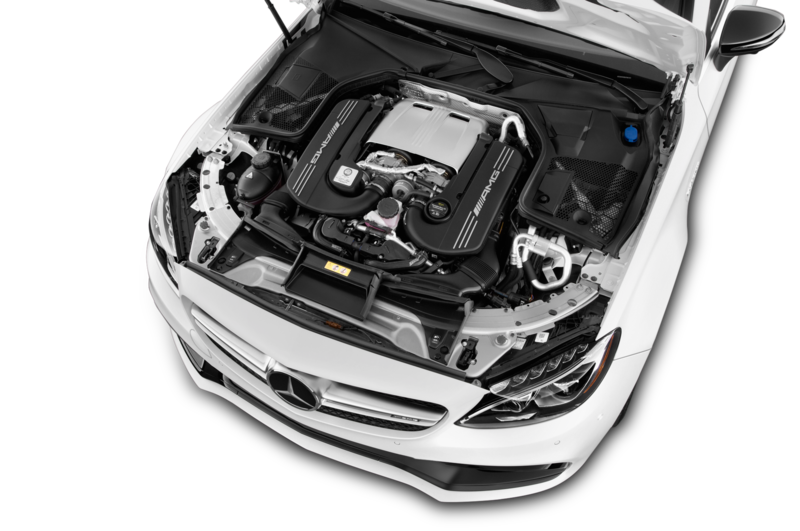 Instead, Mercedes chose to add standard features and offer more technology options. 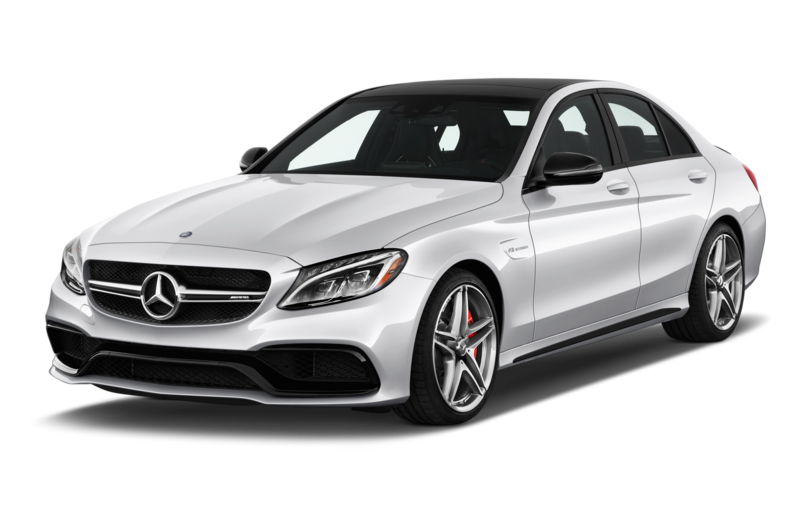 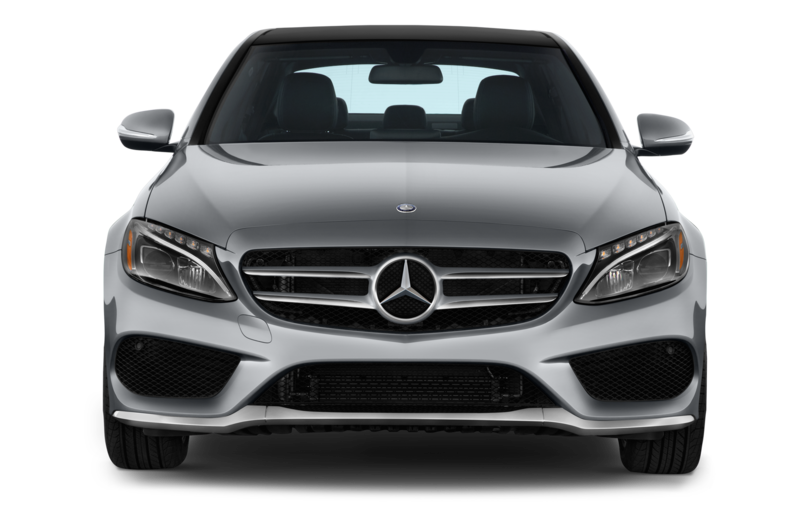 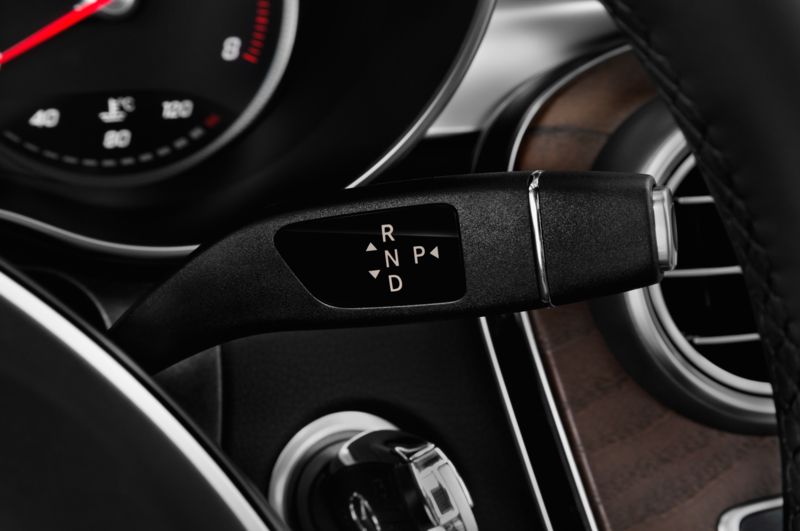 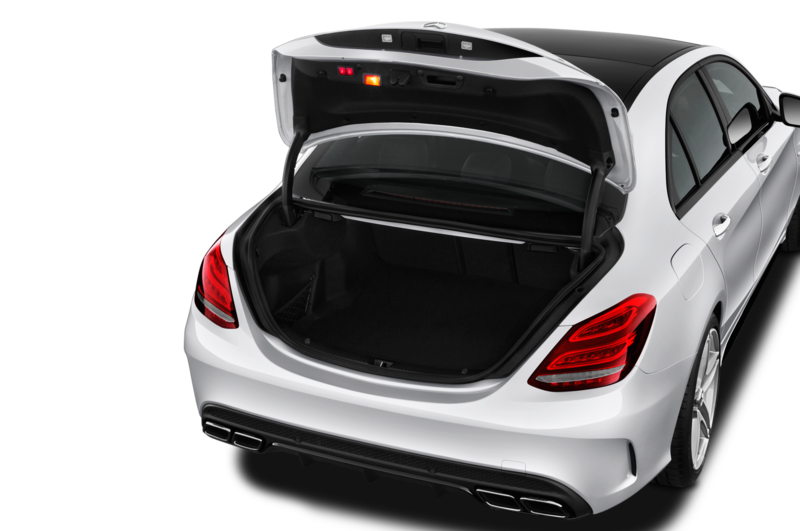 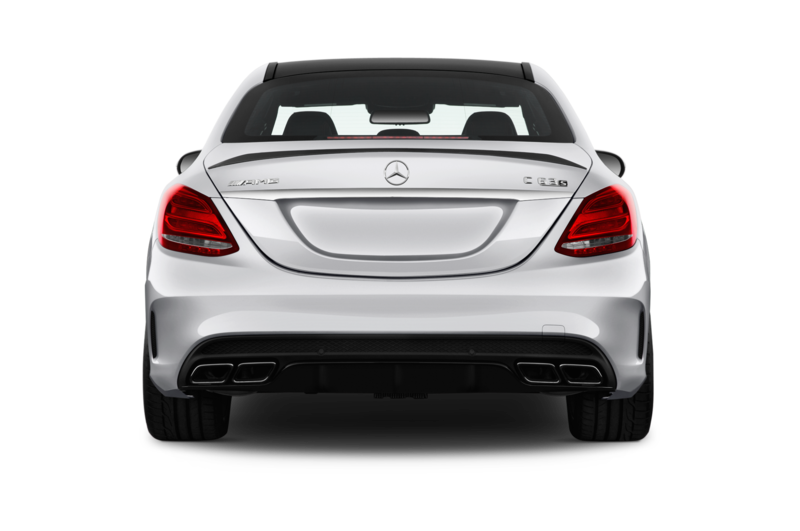 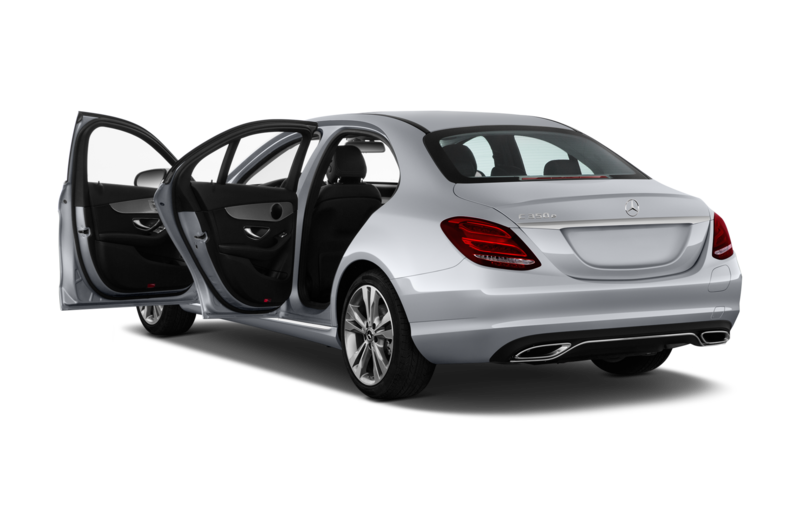 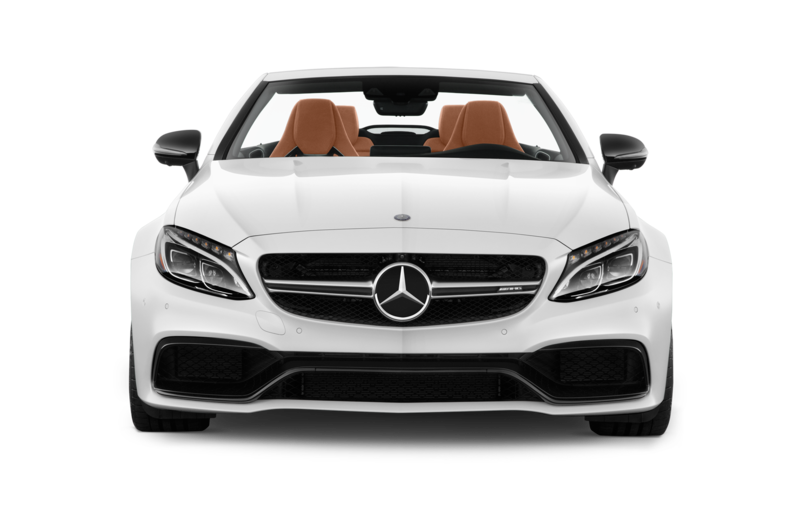 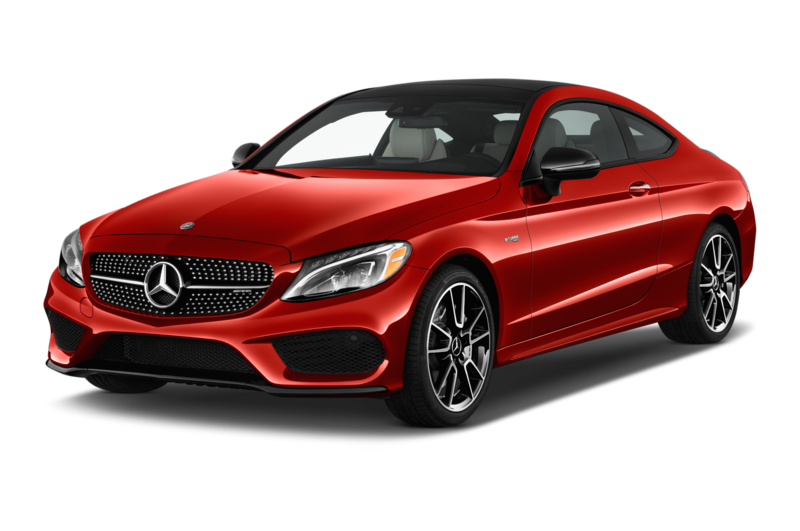 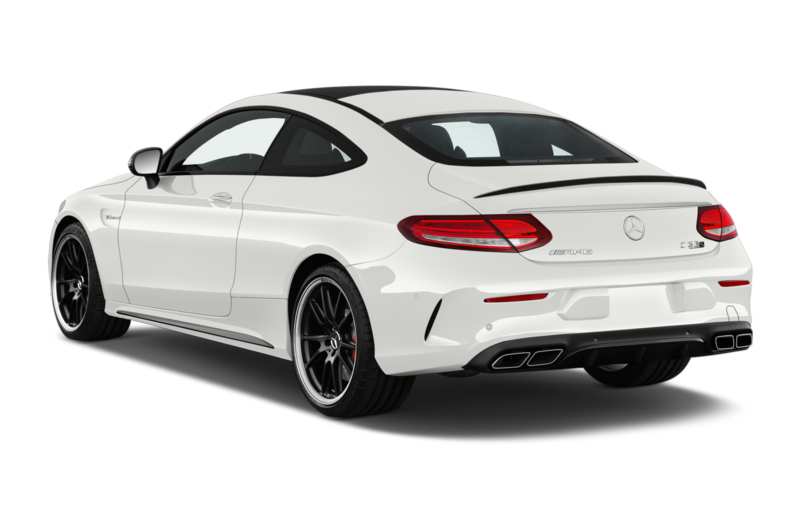 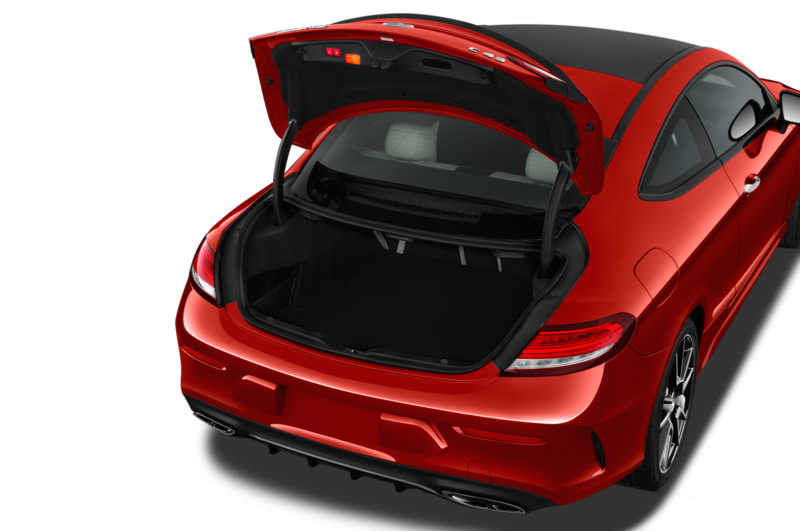 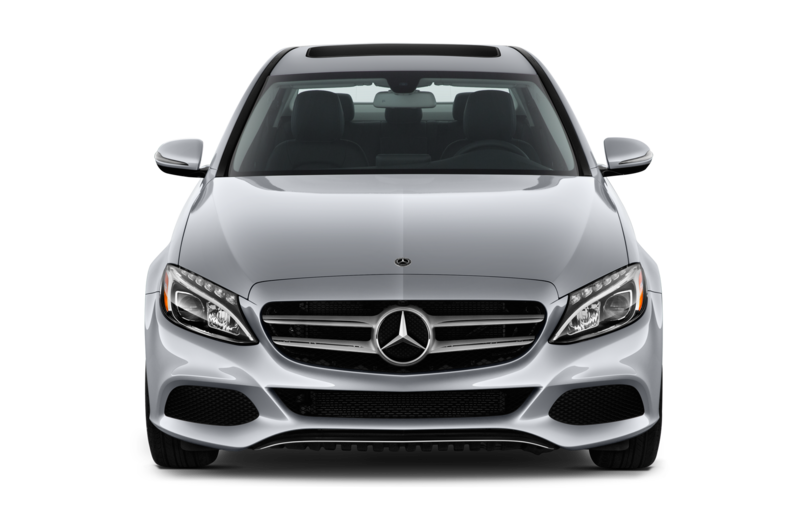 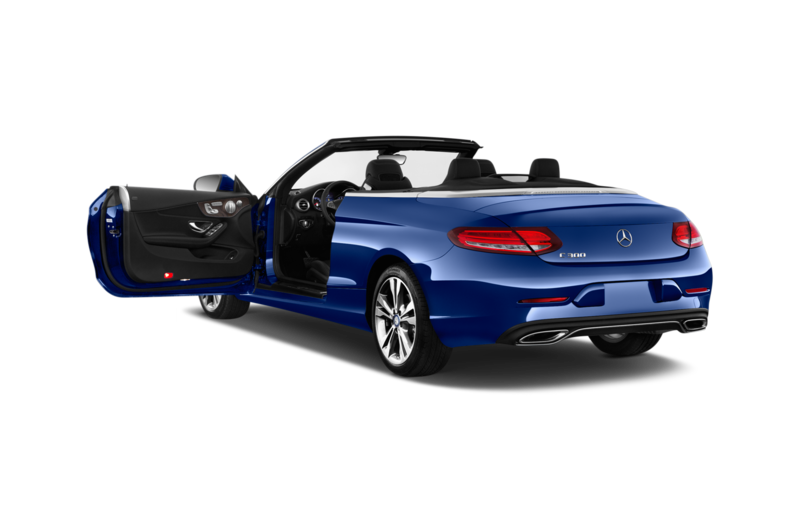 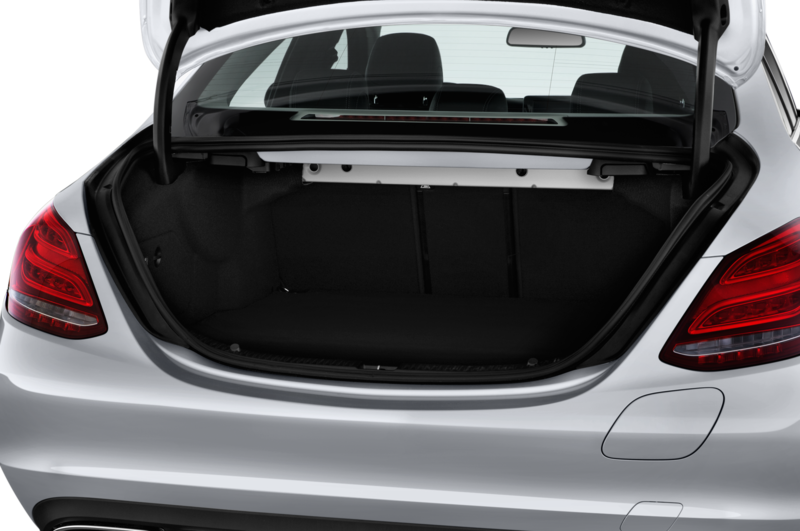 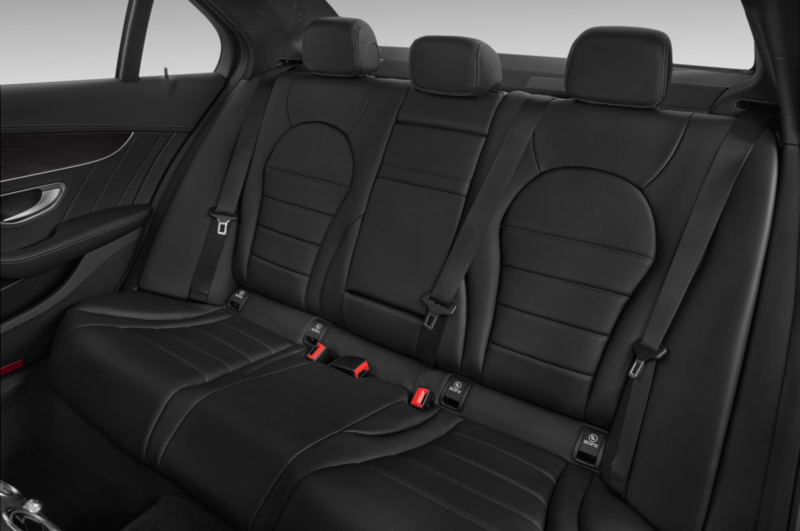 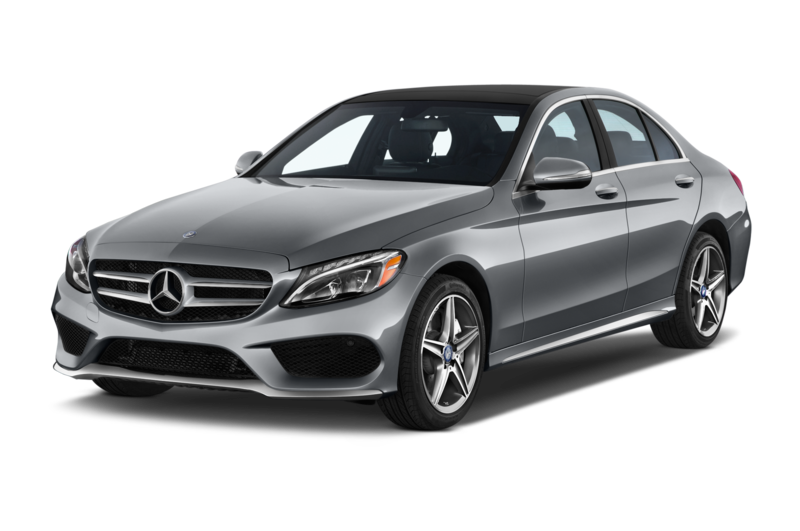 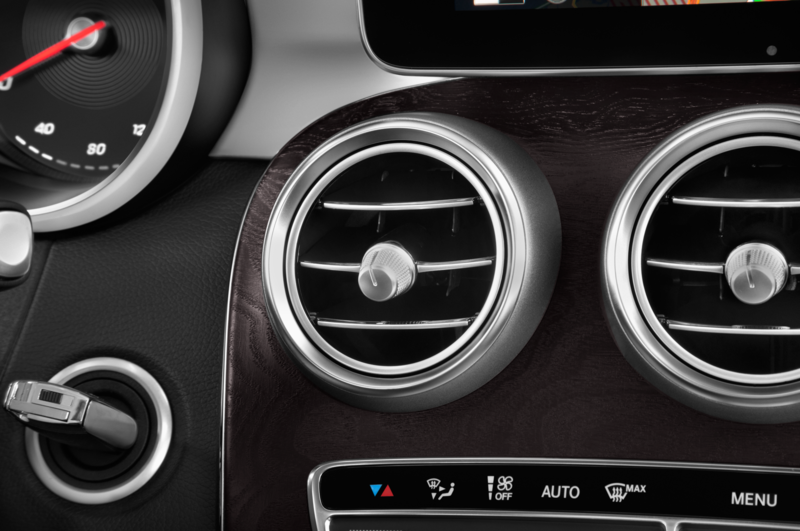 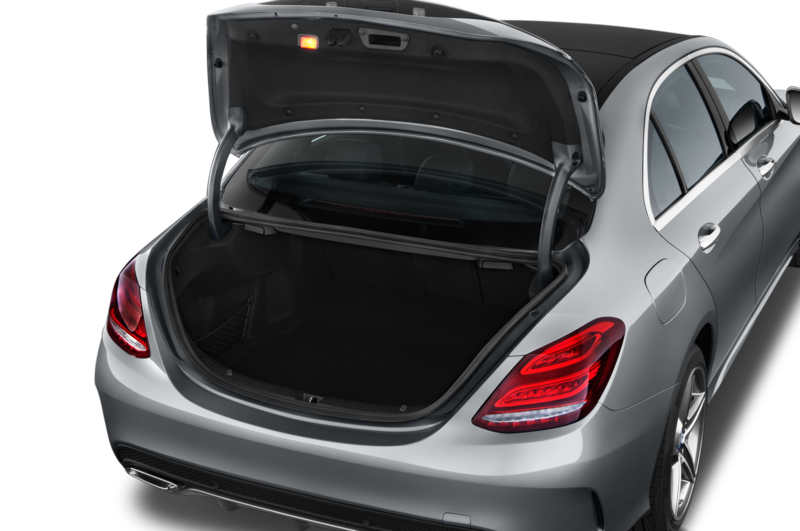 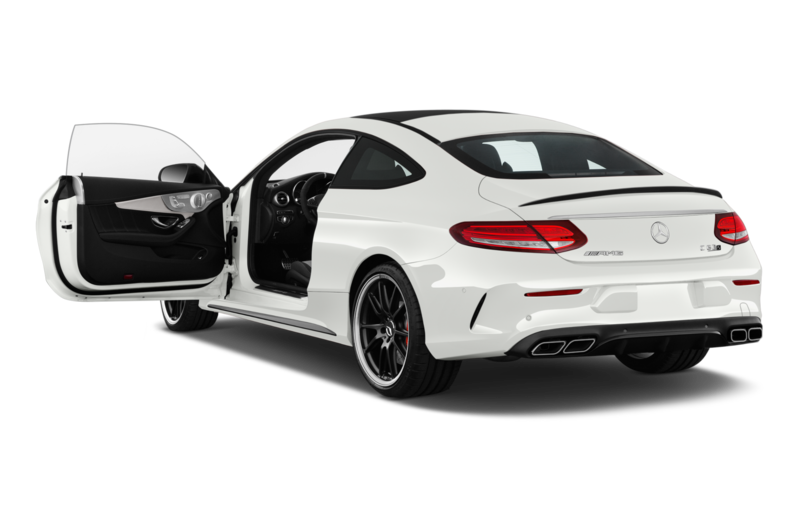 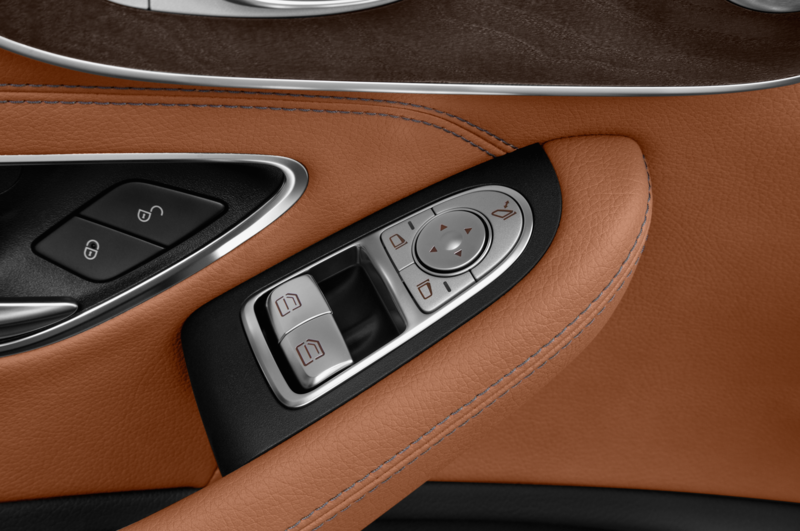 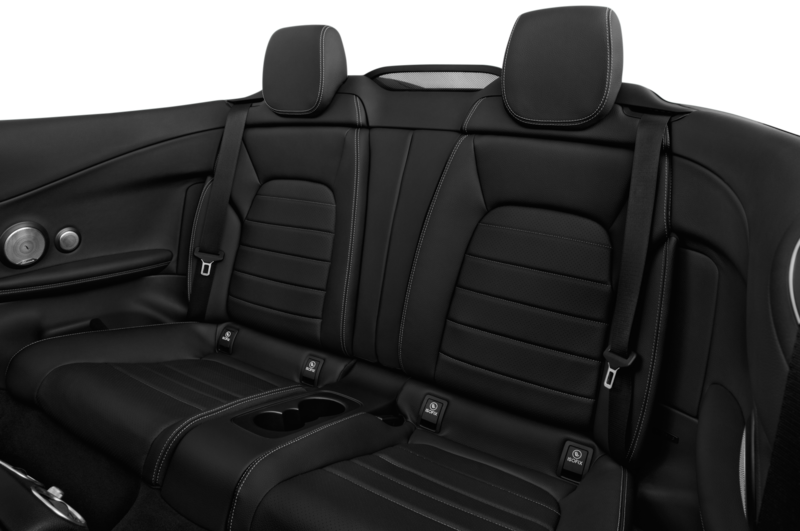 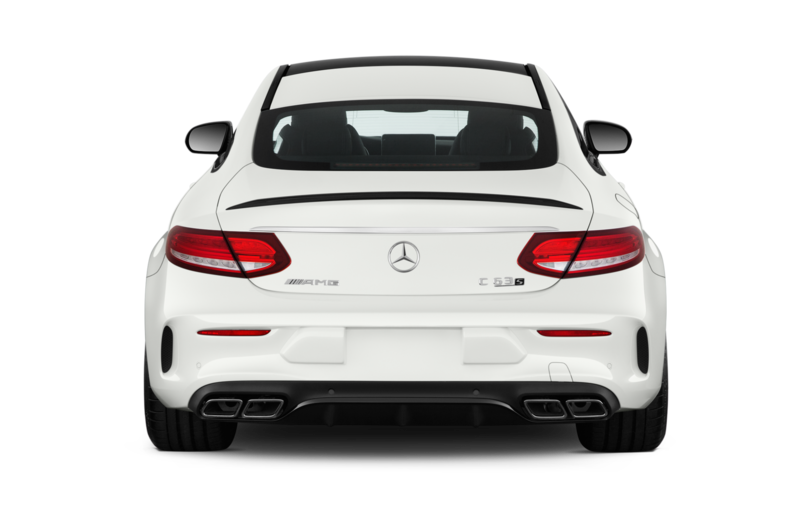 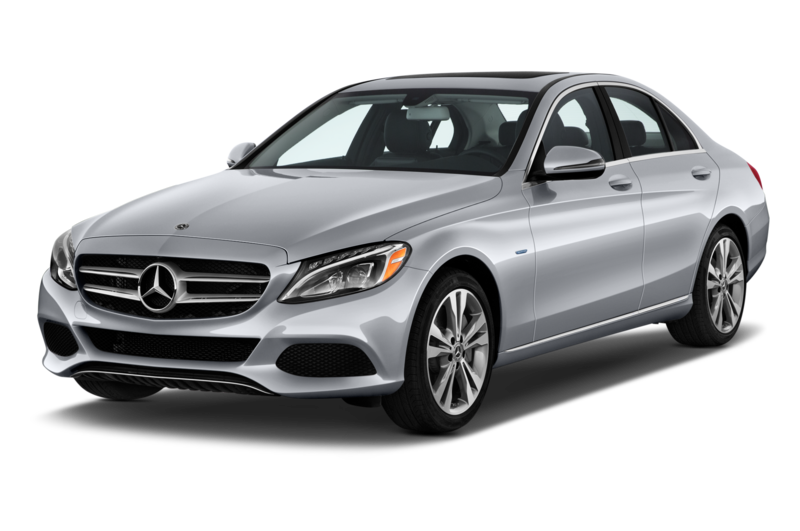 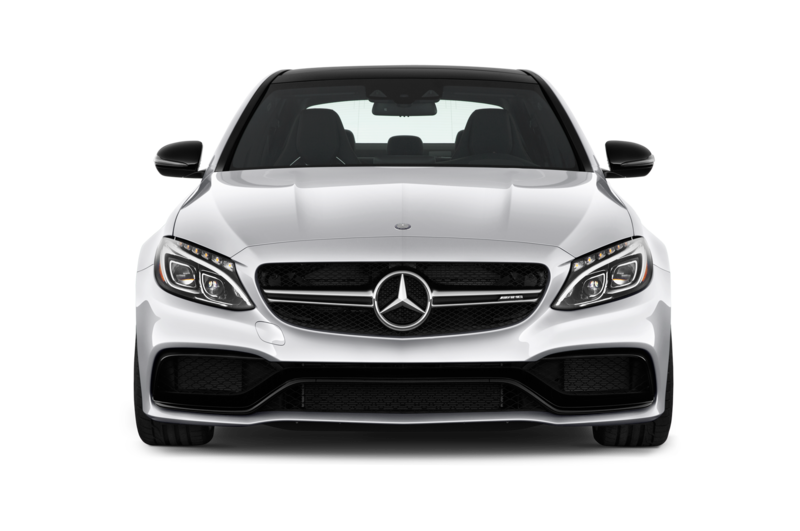 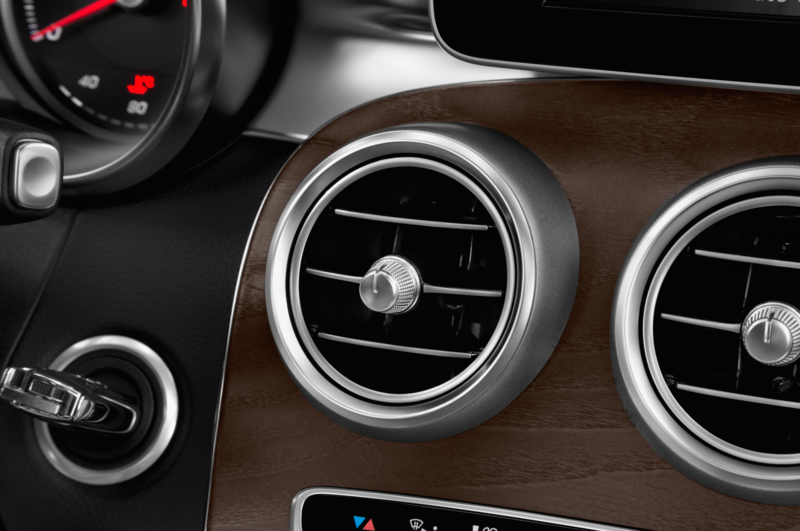 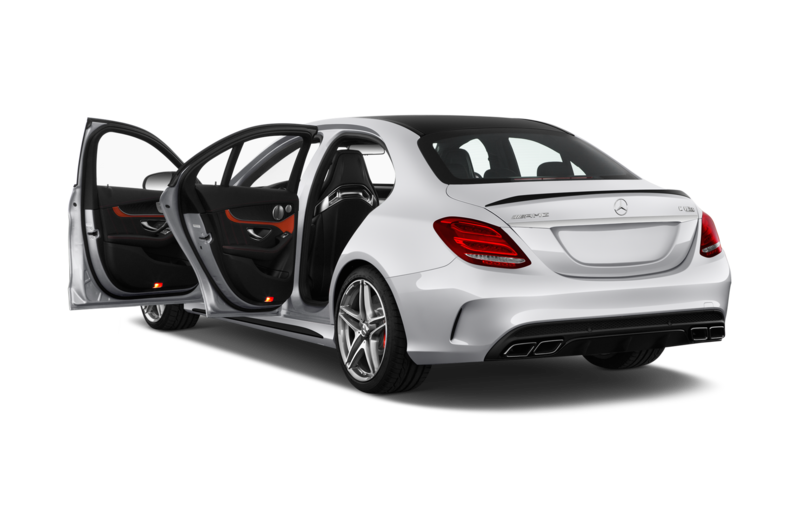 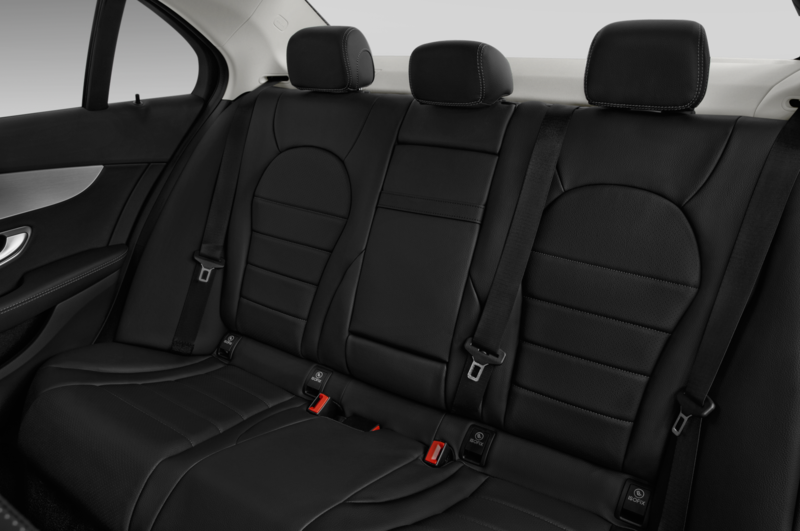 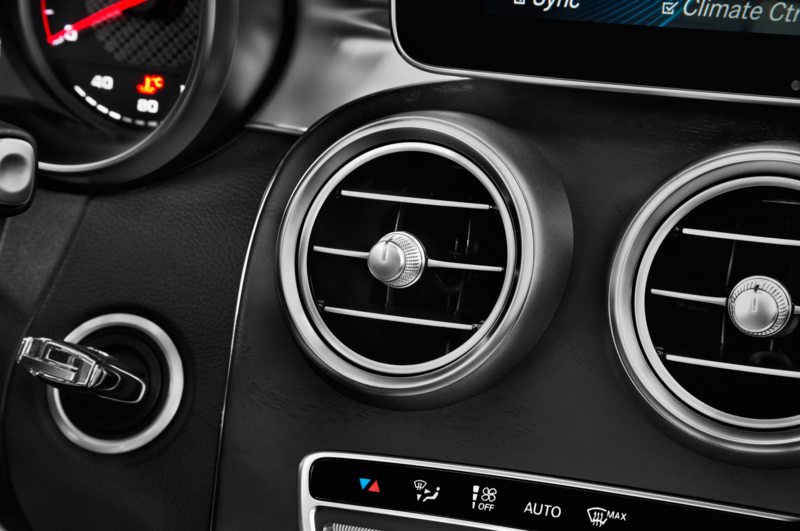 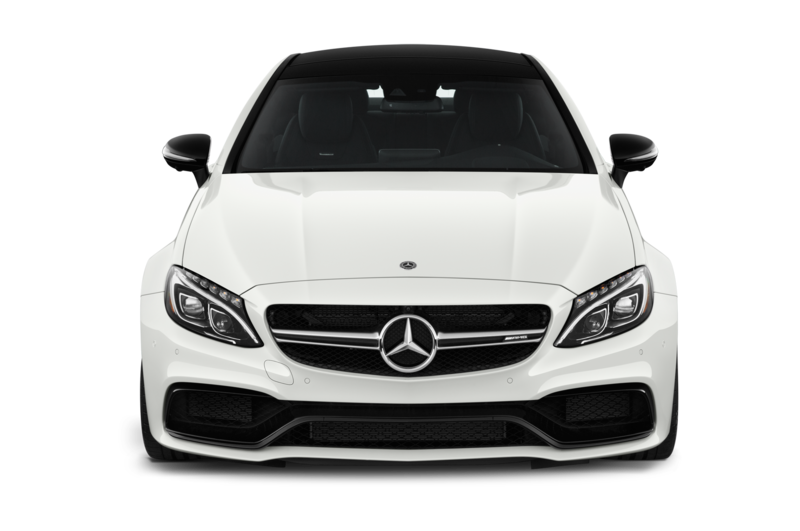 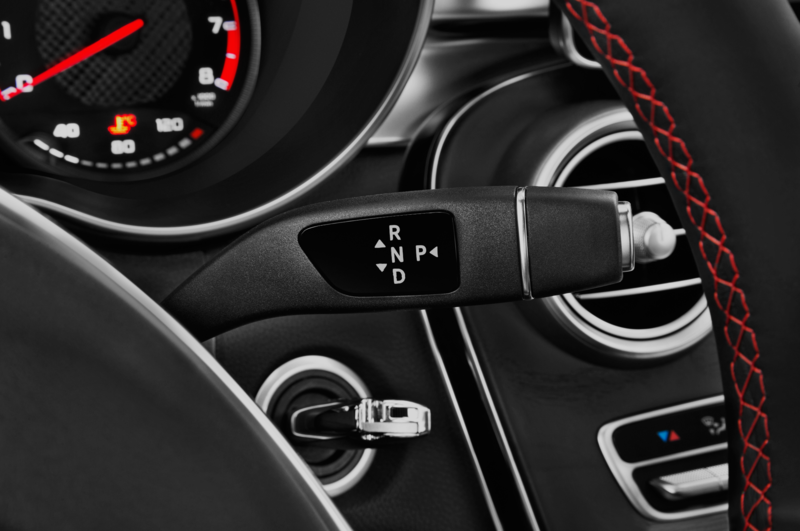 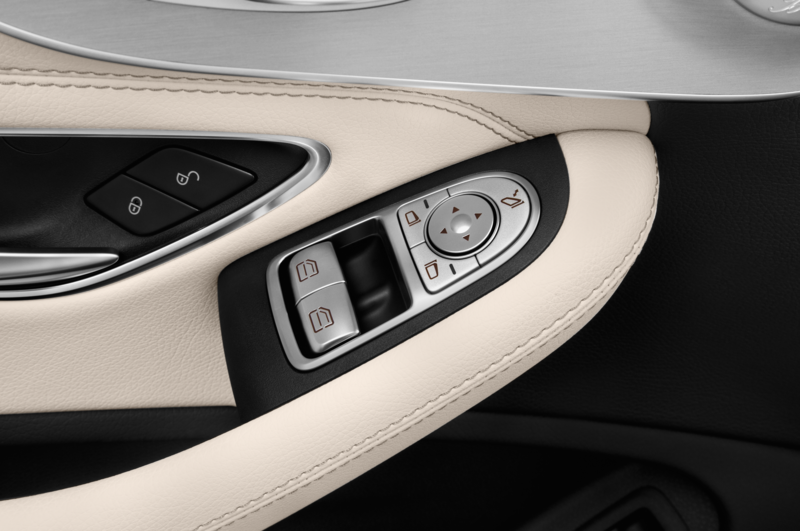 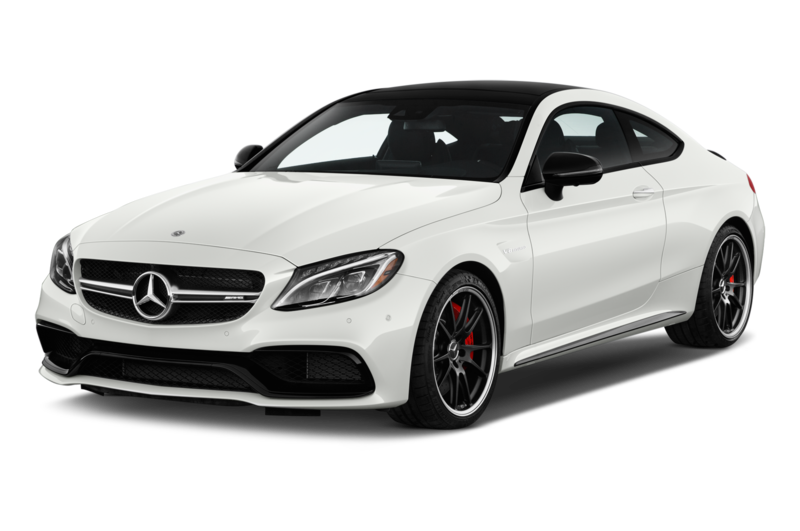 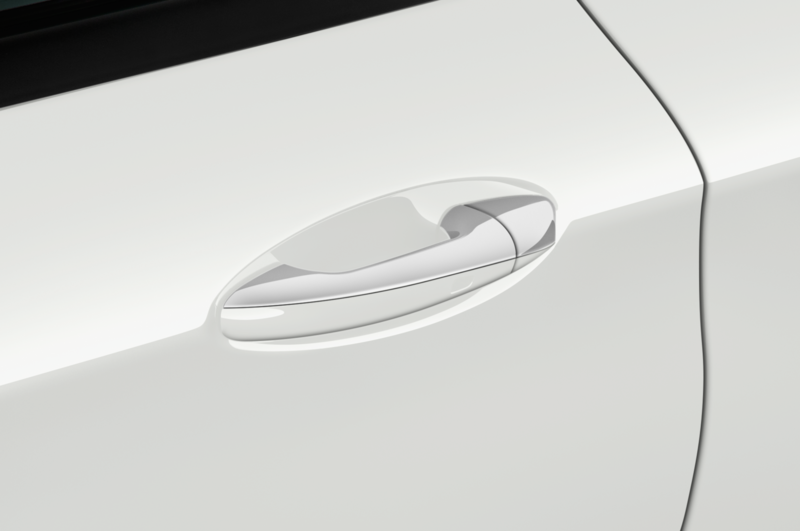 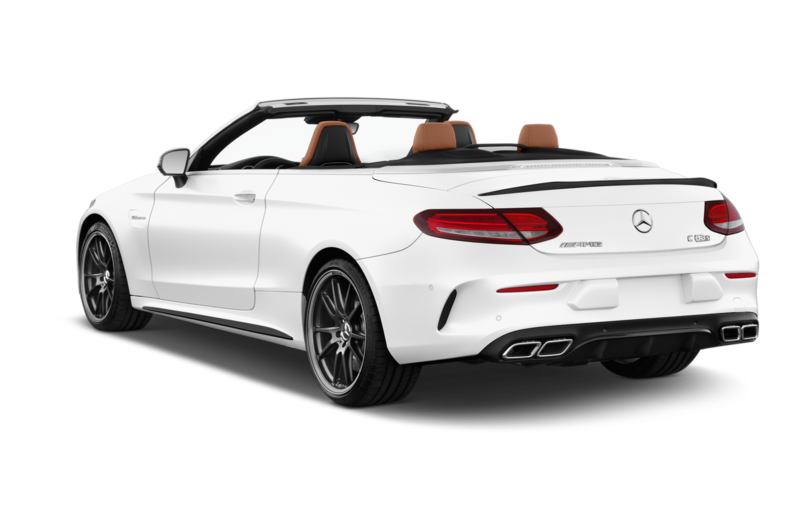 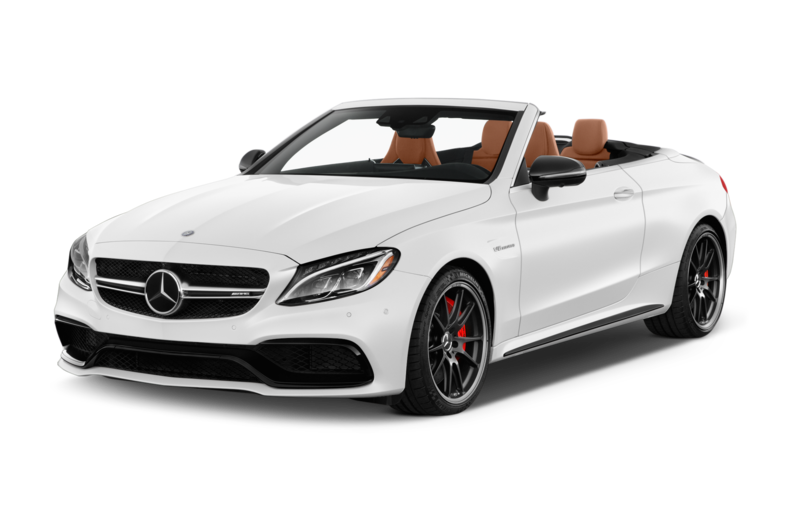 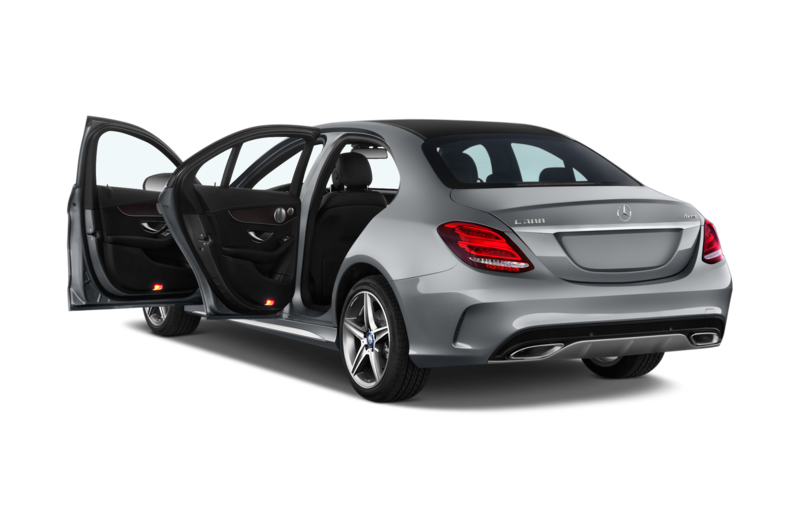 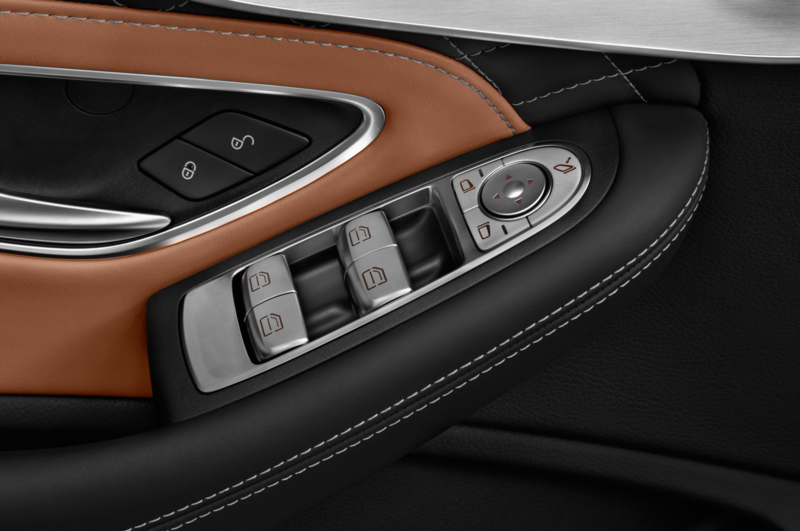 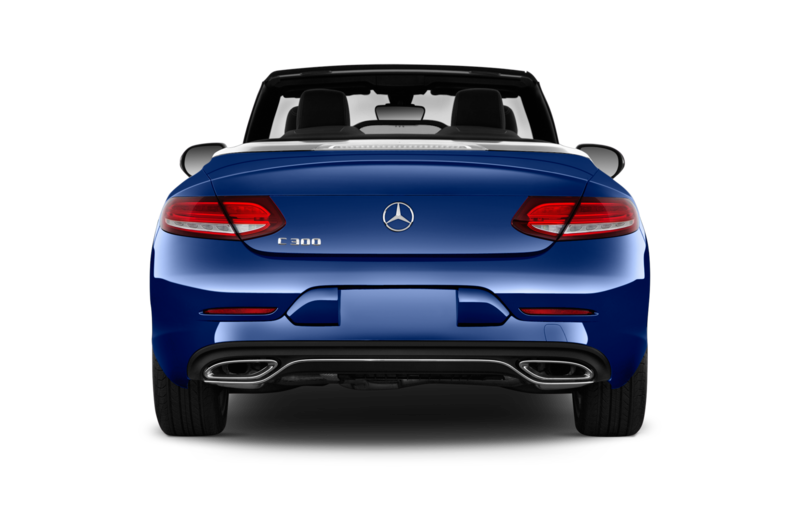 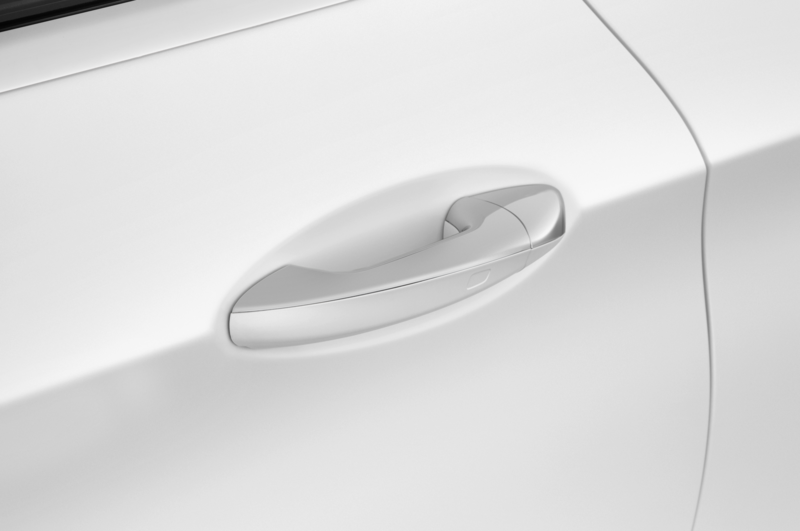 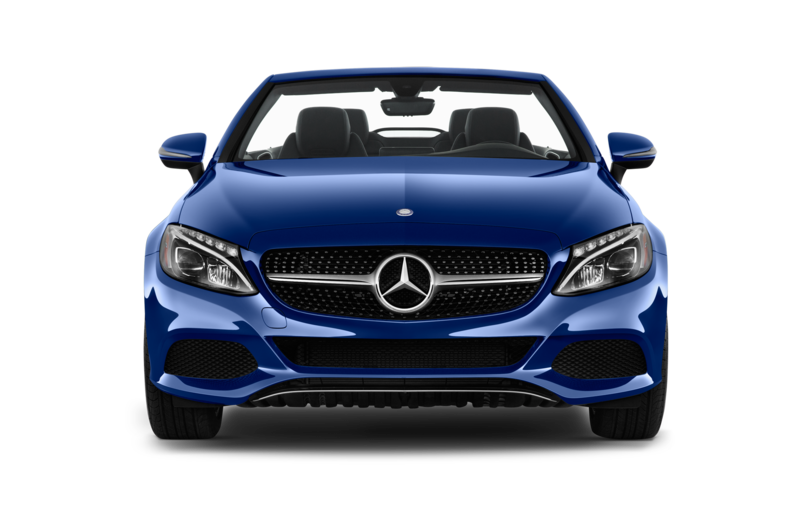 So when you buy a new C-Class, push-button start, a power-retractable sunroof, wood trim, a 7.0-inch infotainment system, and automatic braking are all included. 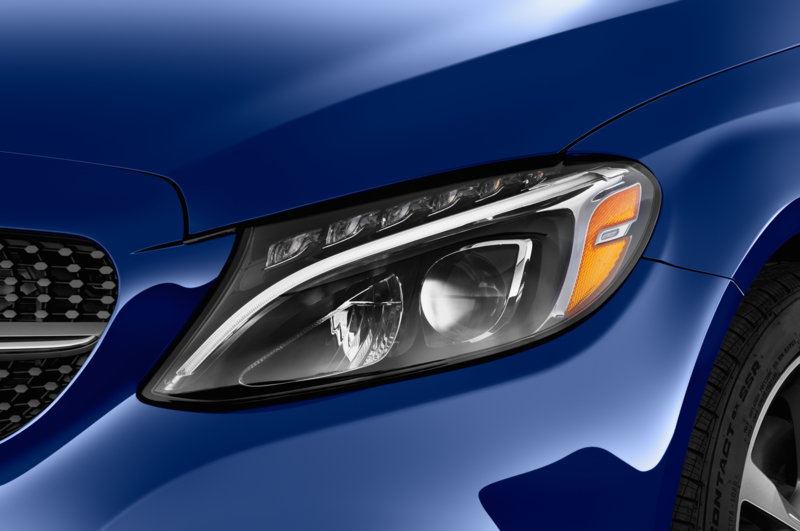 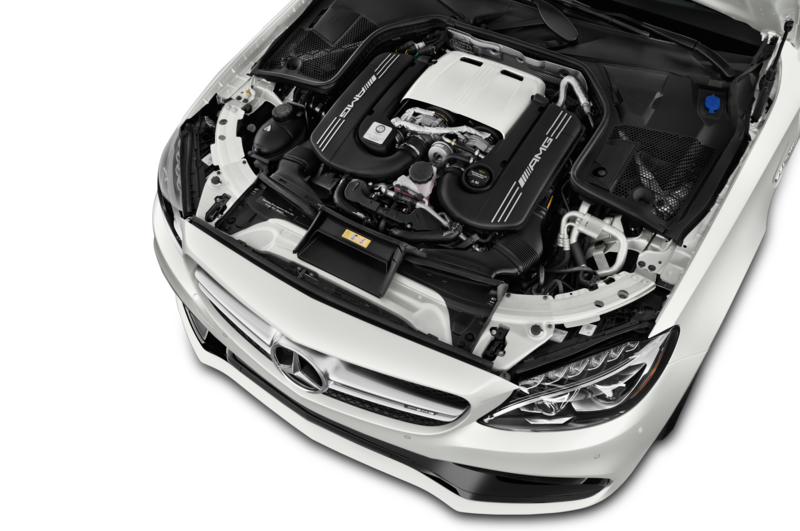 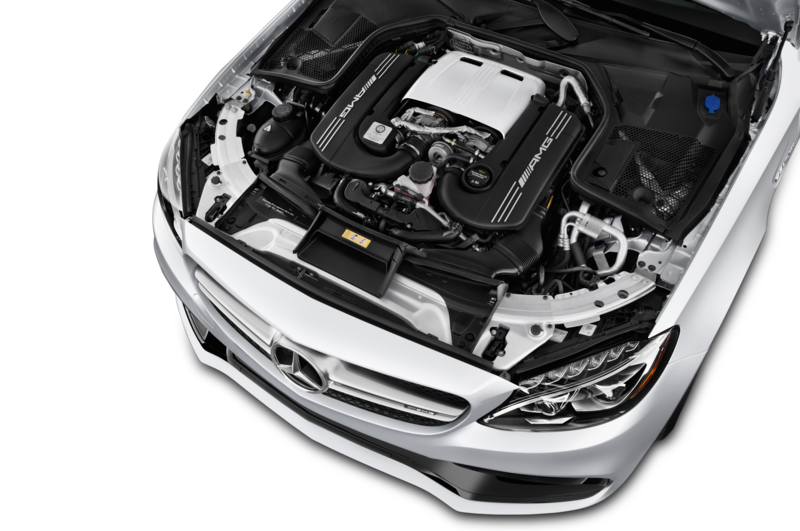 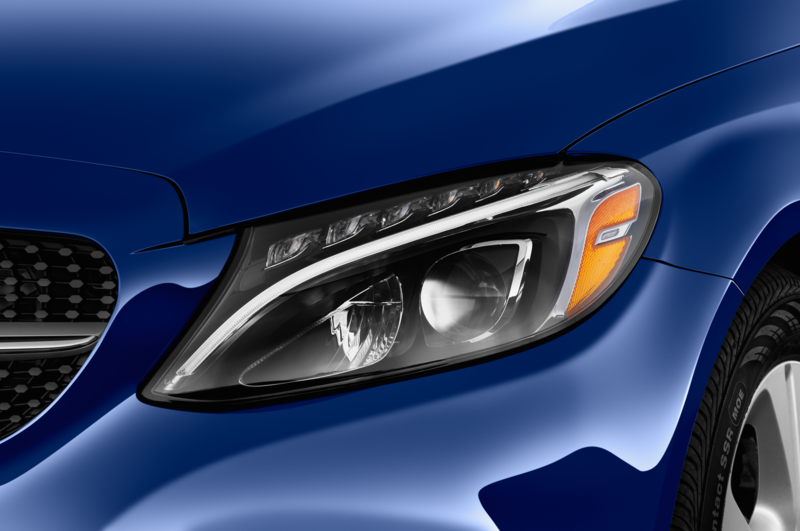 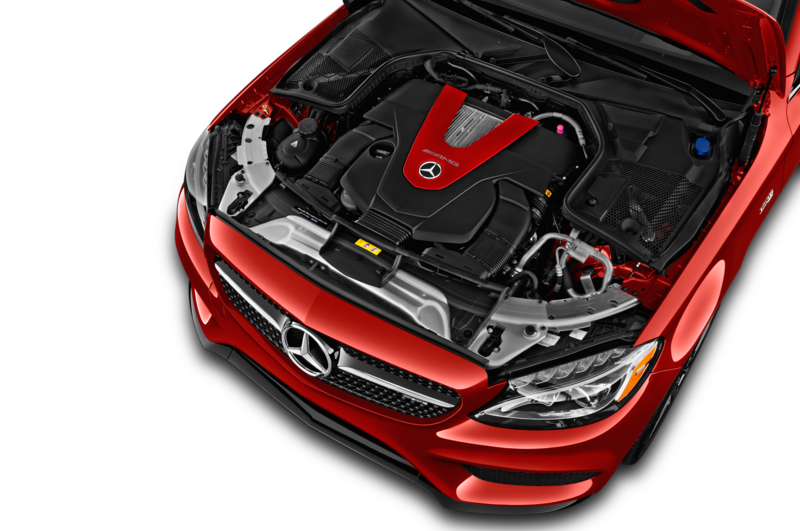 The base engine also now makes an extra 14 hp, bringing the total up to 255 hp and 273 lb-ft of torque. 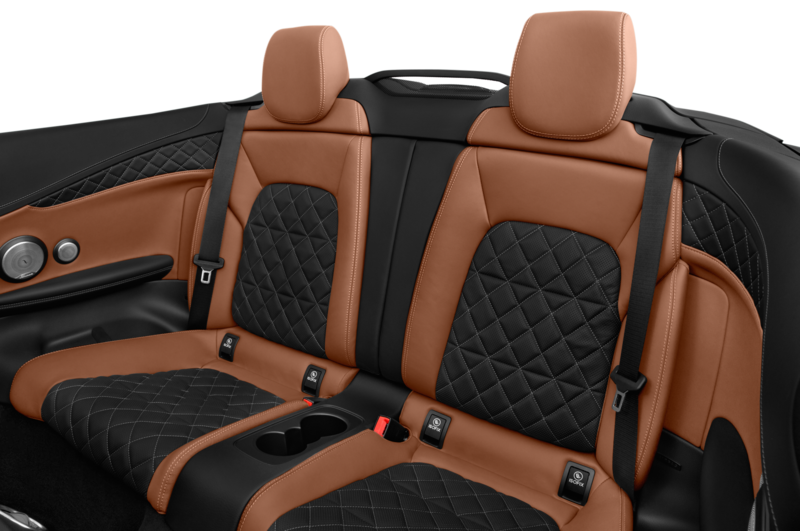 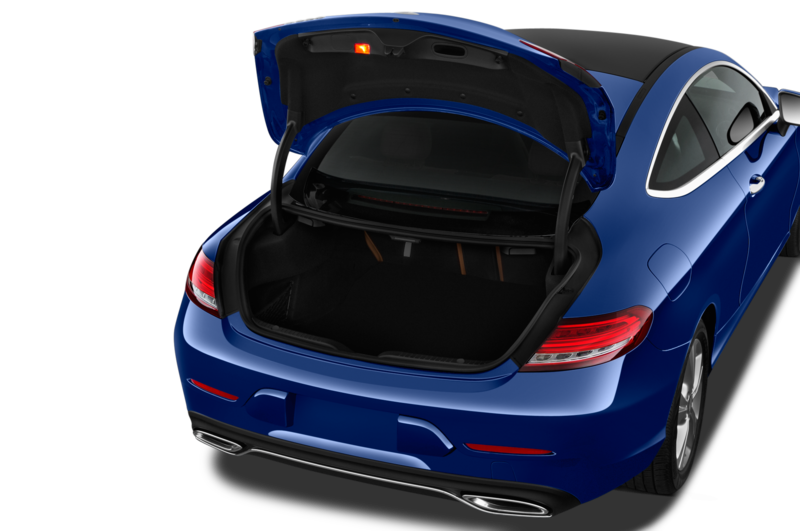 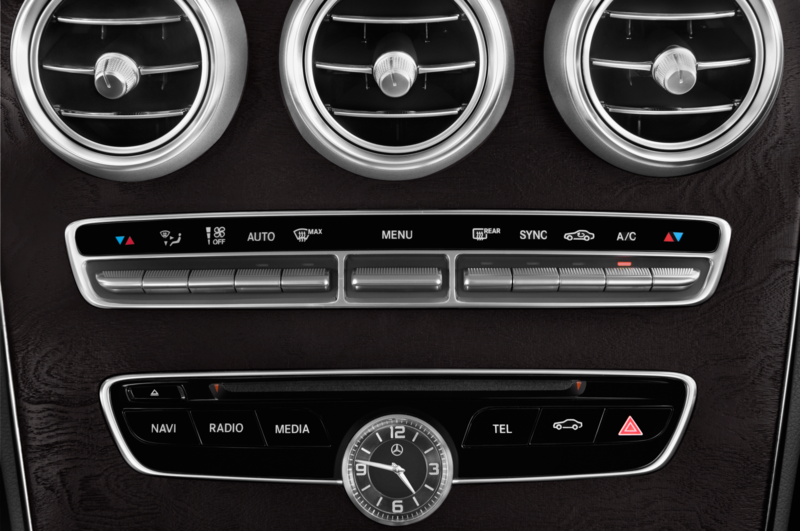 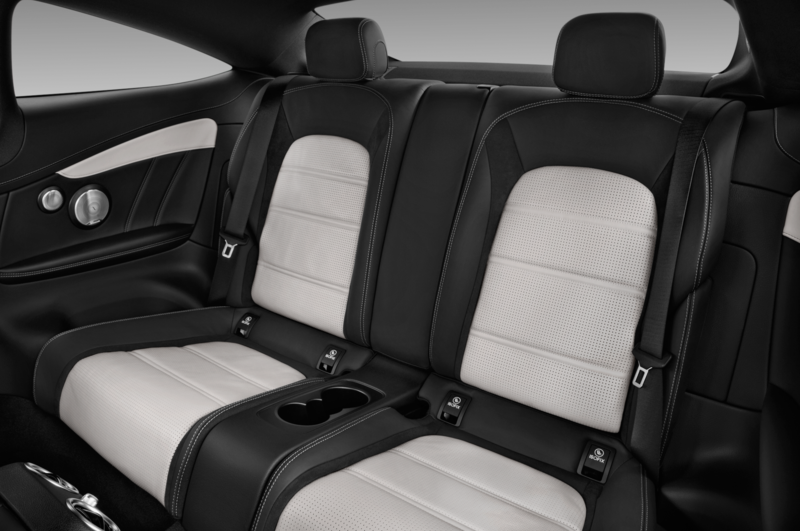 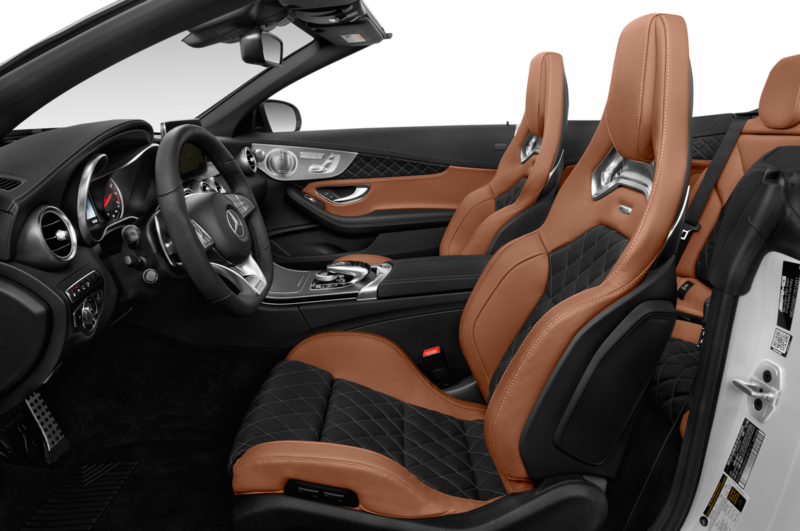 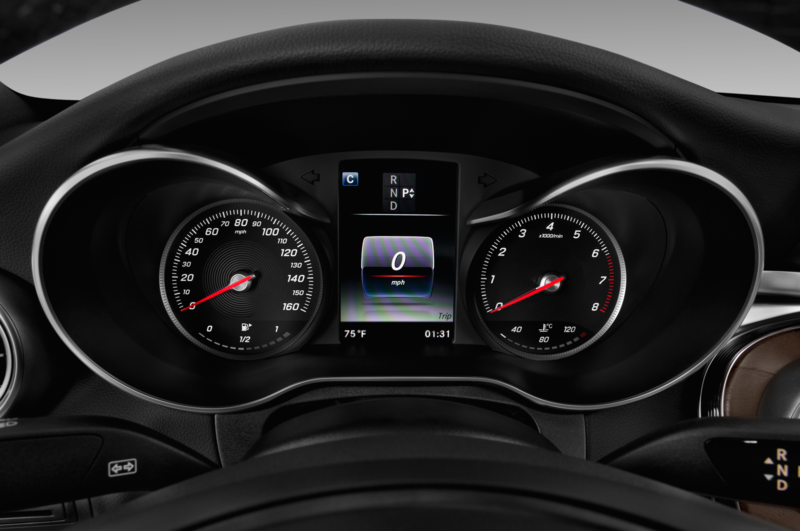 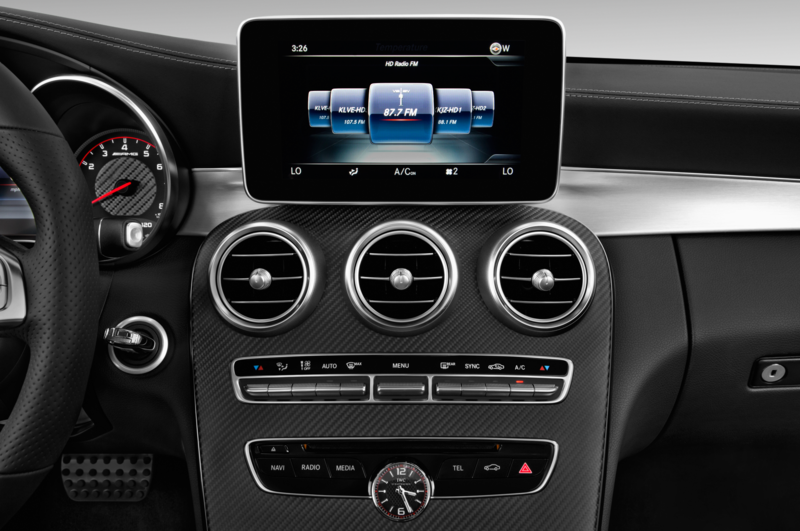 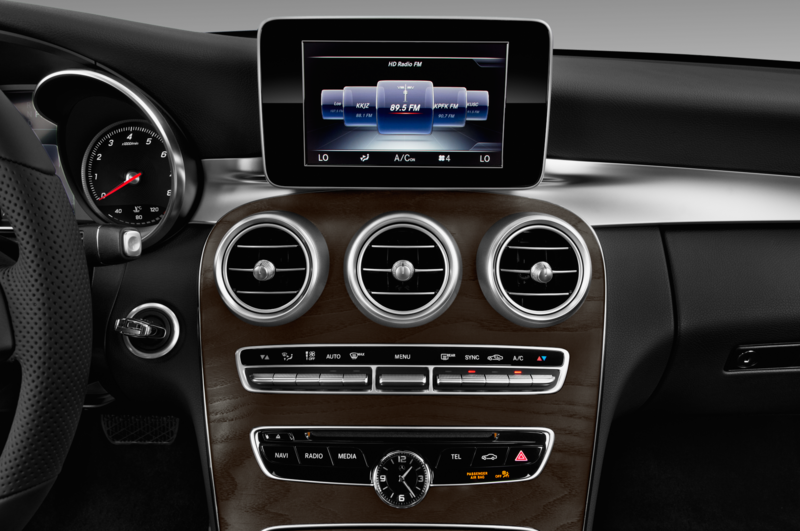 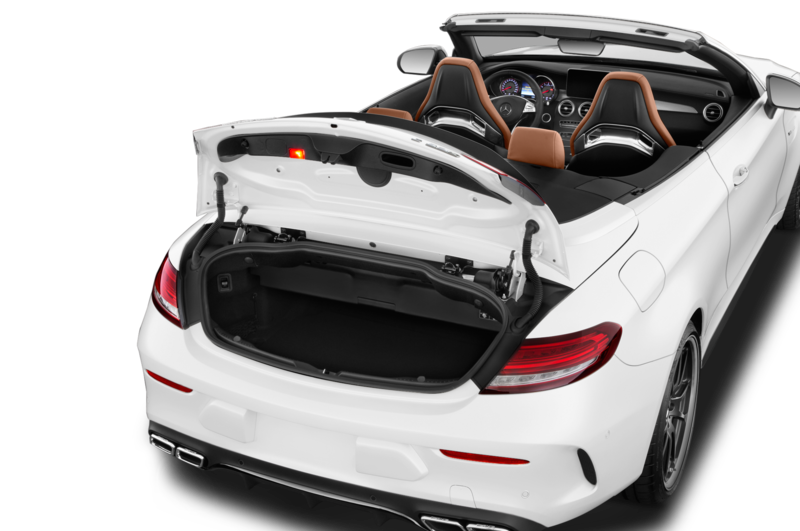 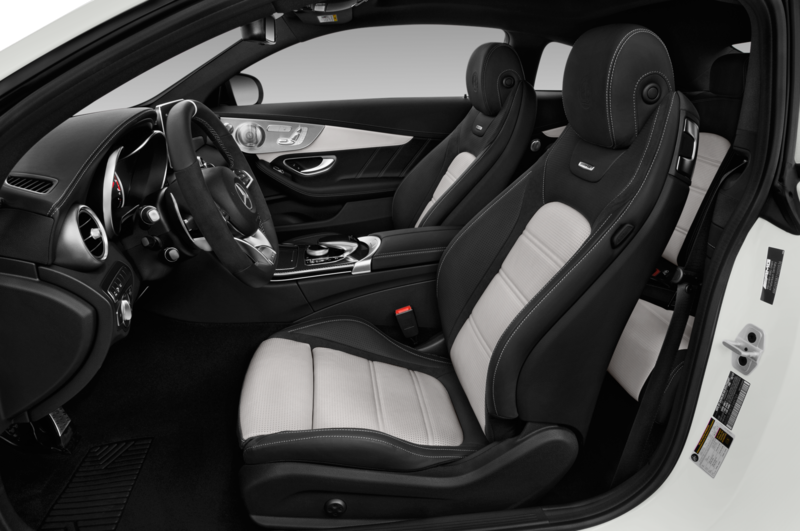 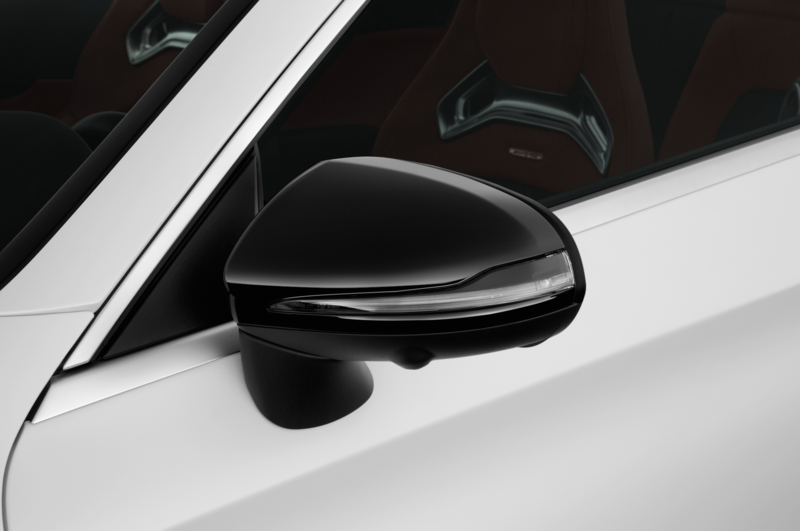 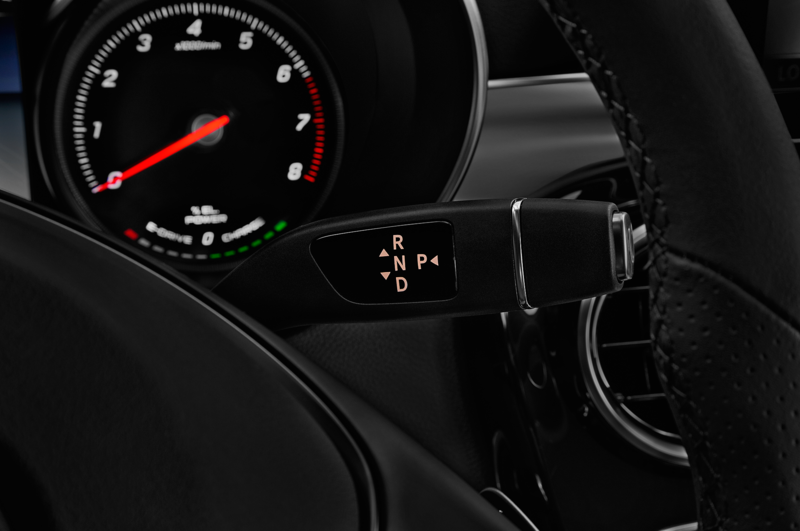 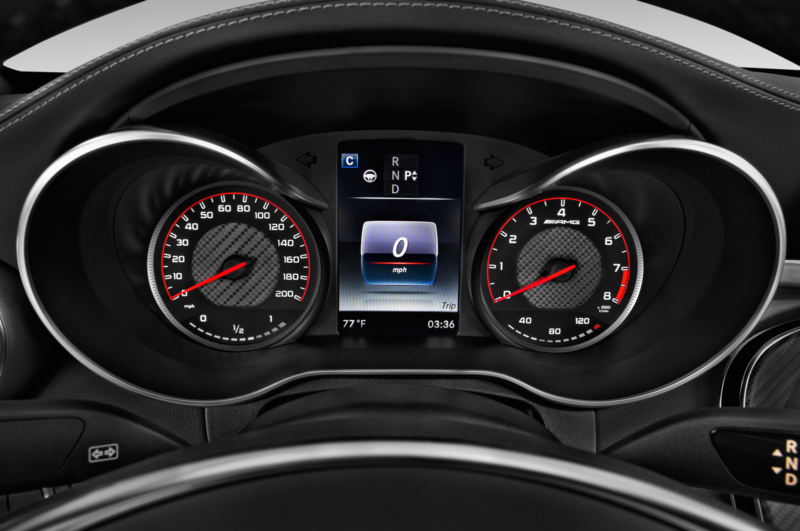 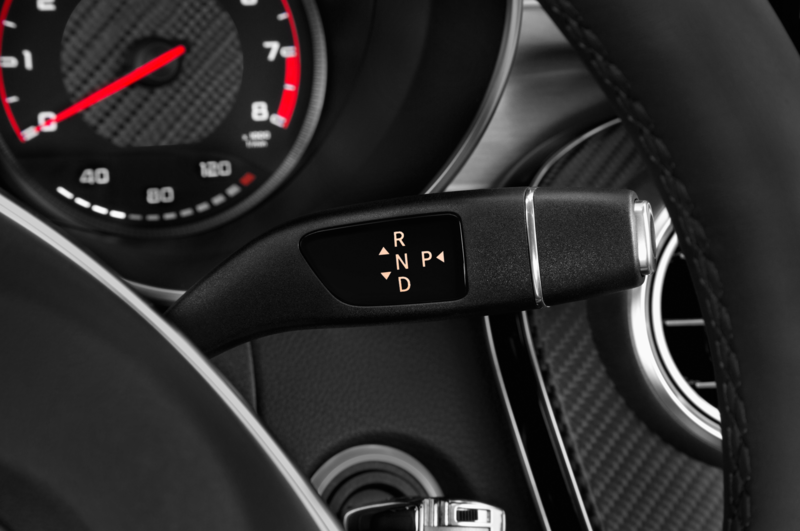 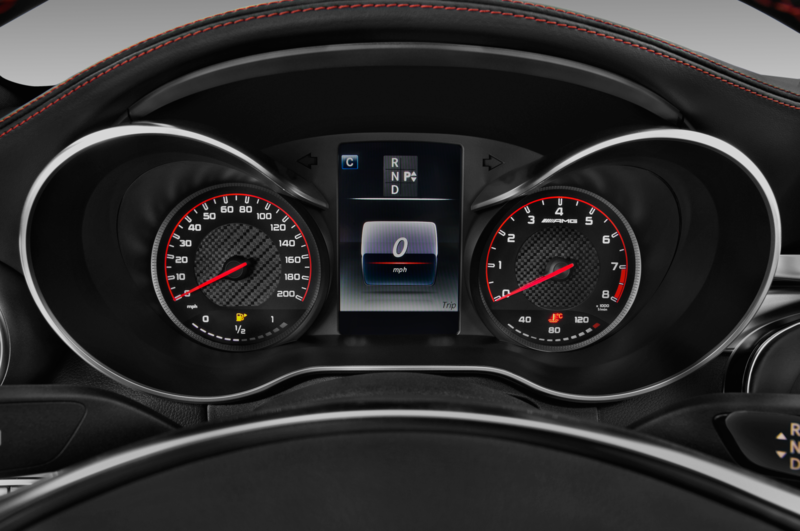 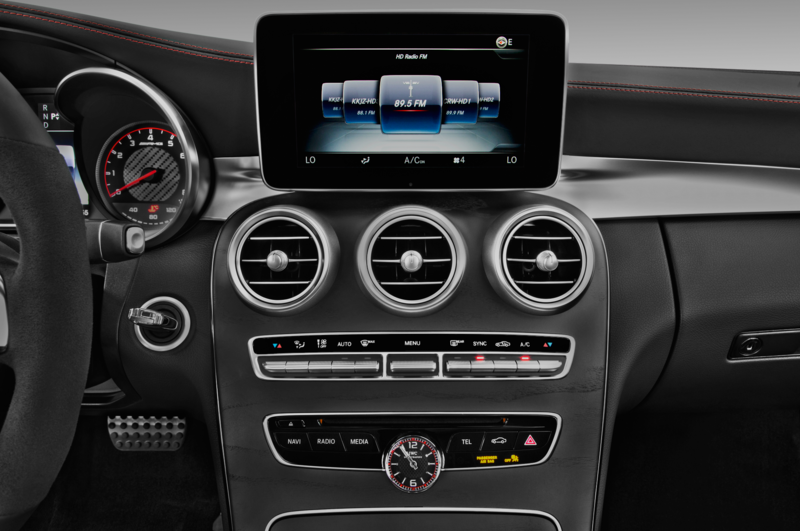 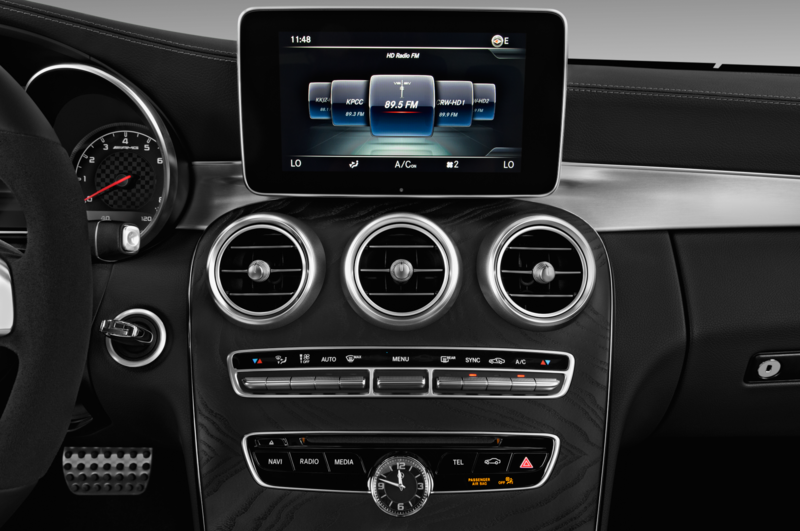 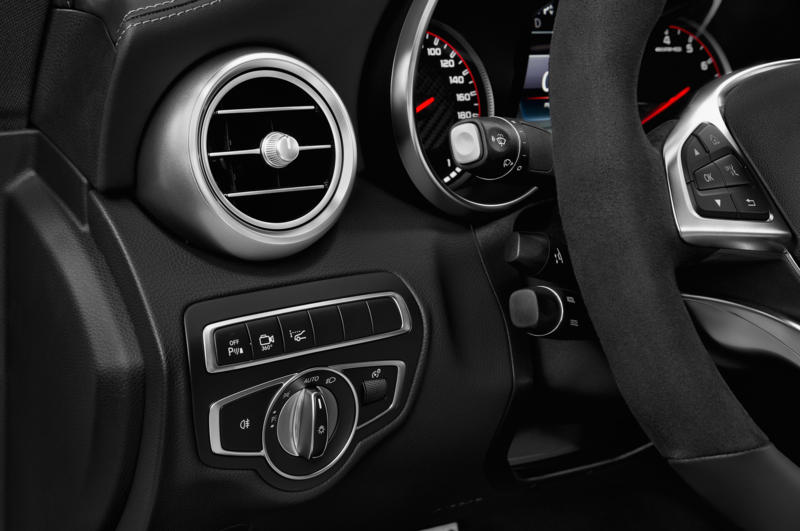 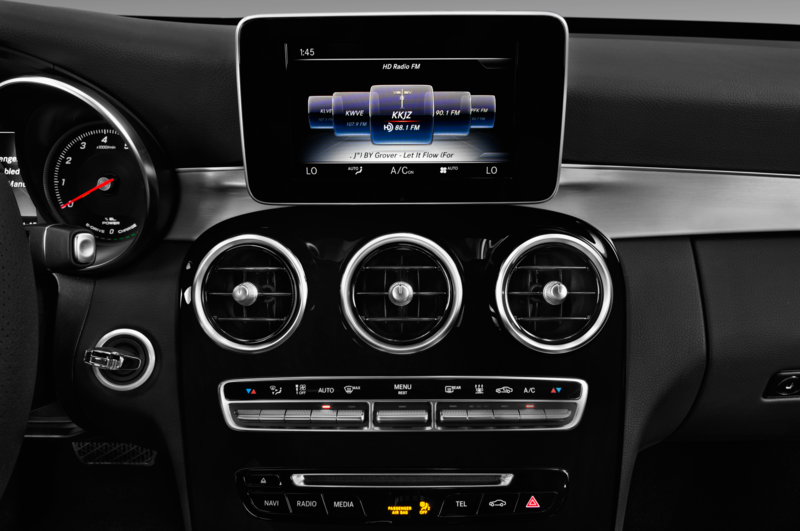 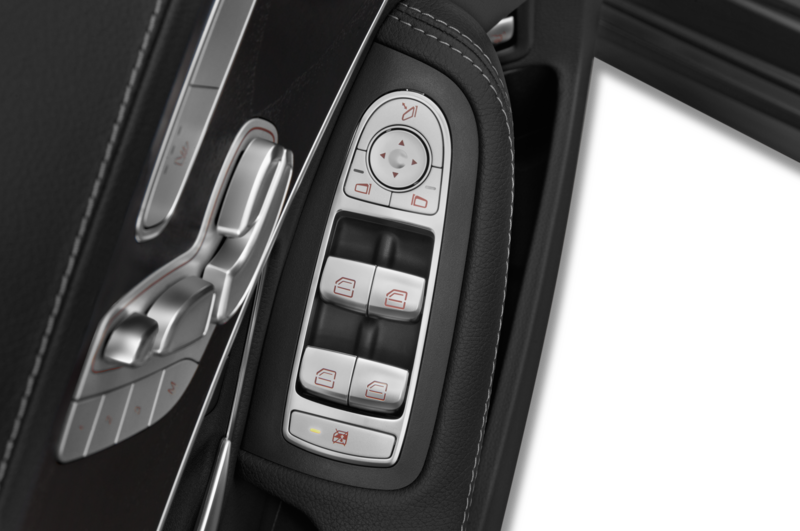 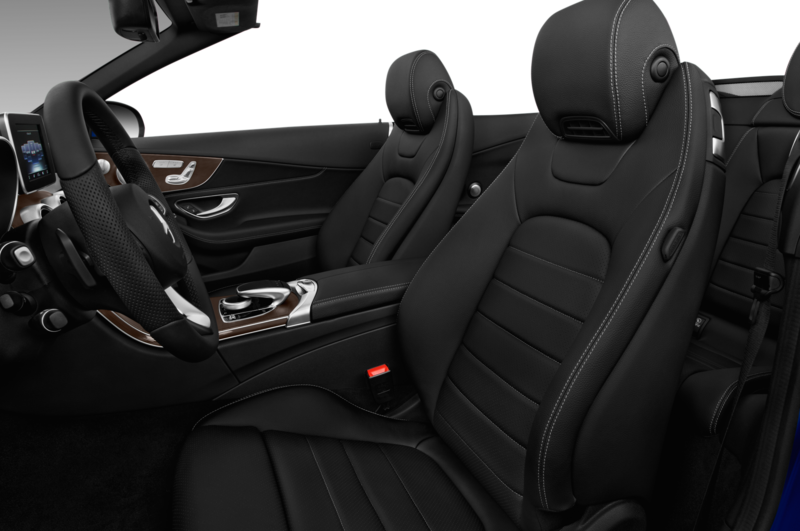 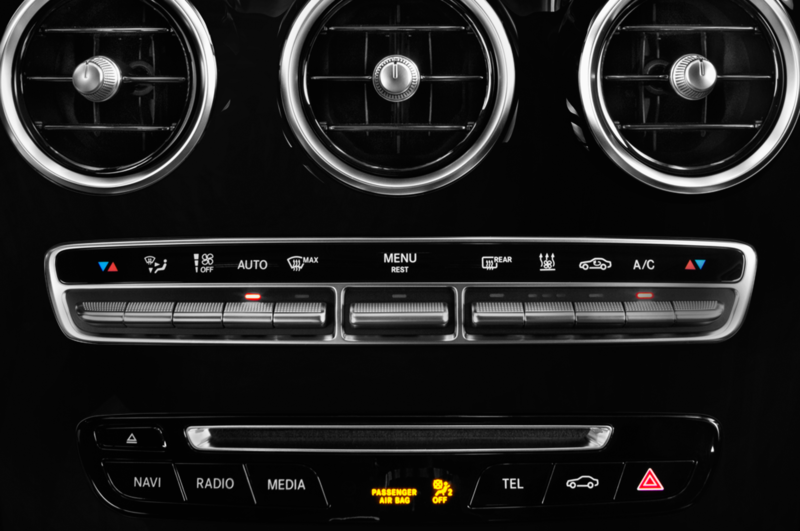 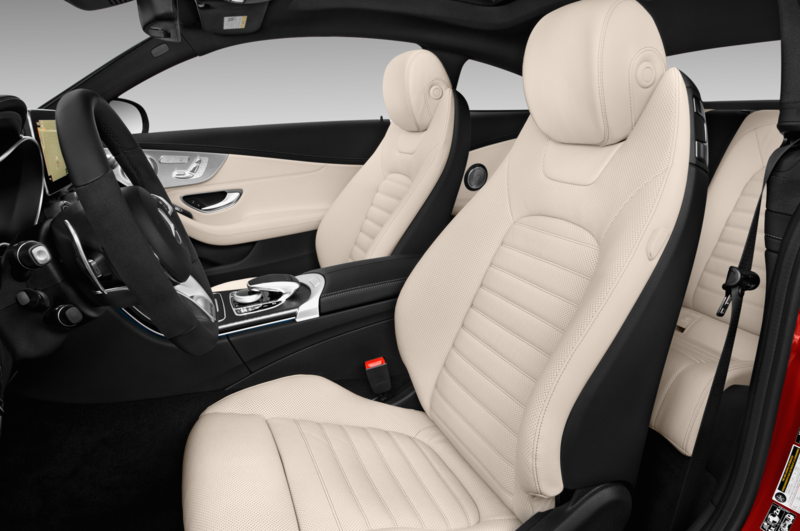 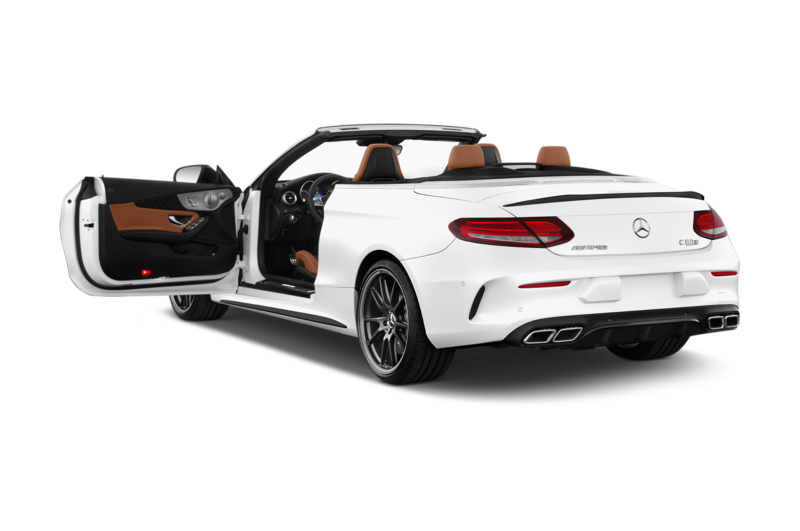 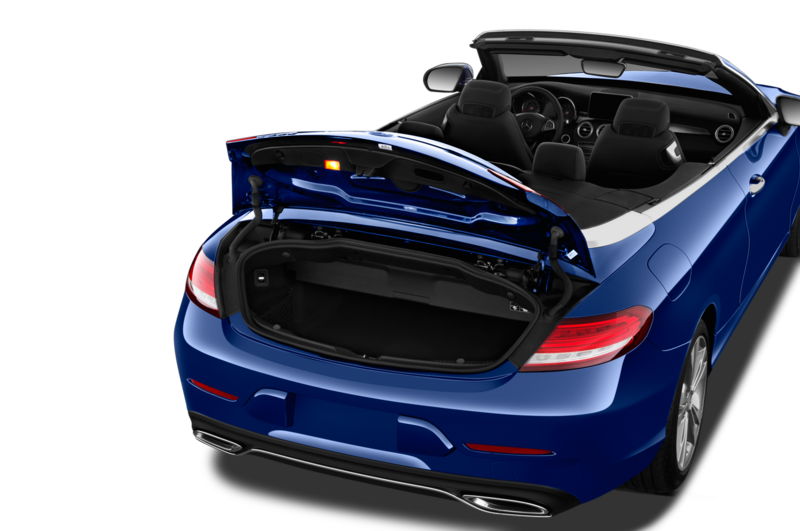 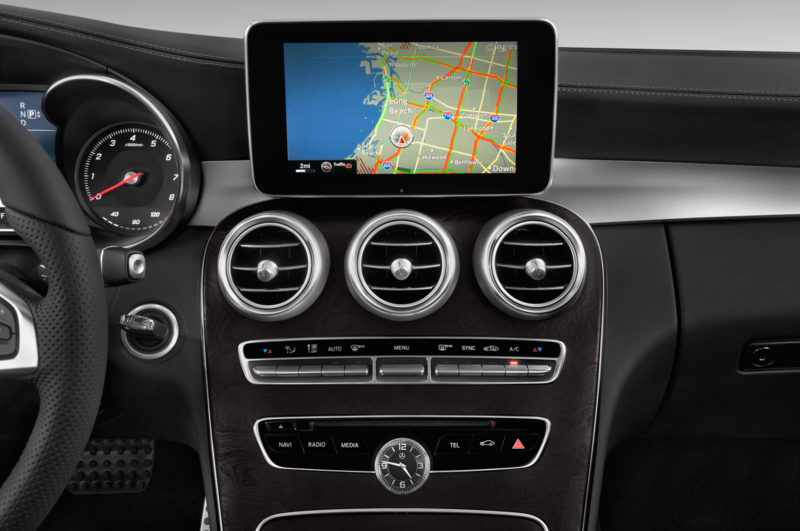 Customers looking for a little more luxury can add a 10.25-inch infotainment system, a 12.3-inch digital instrument cluster, a panoramic sunroof, heated and cooled front seats, a heated steering wheel, a heads-up display, NFC wireless charging, and a Burmester sound system. 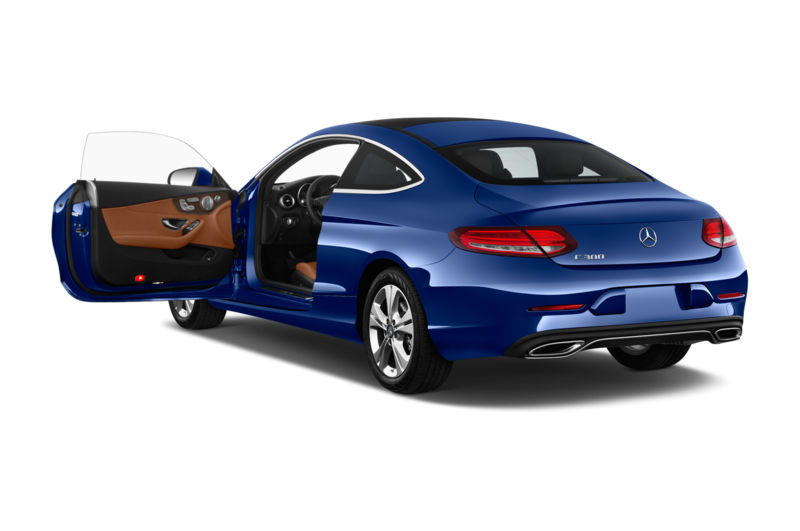 Most importantly, though, the E-Class‘ semiautonomous driver assistance package is also an option. 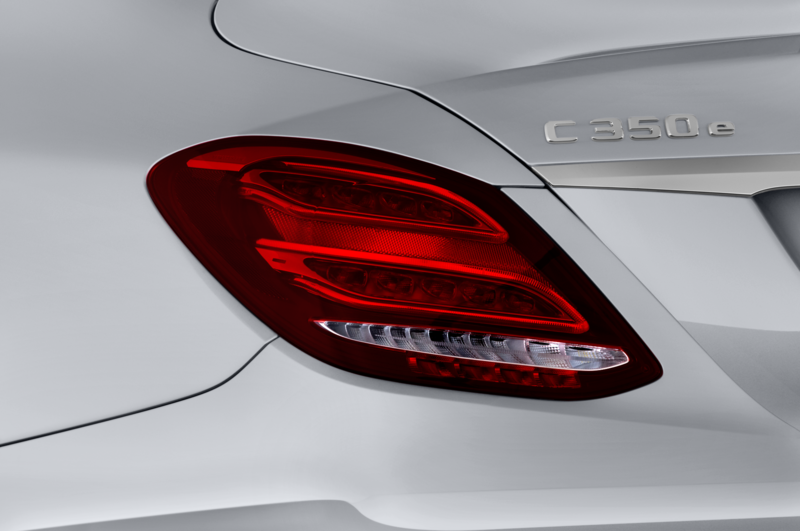 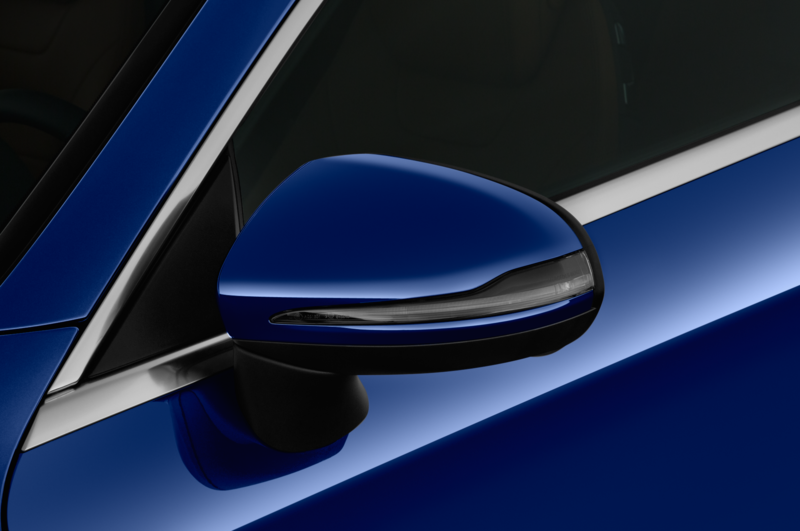 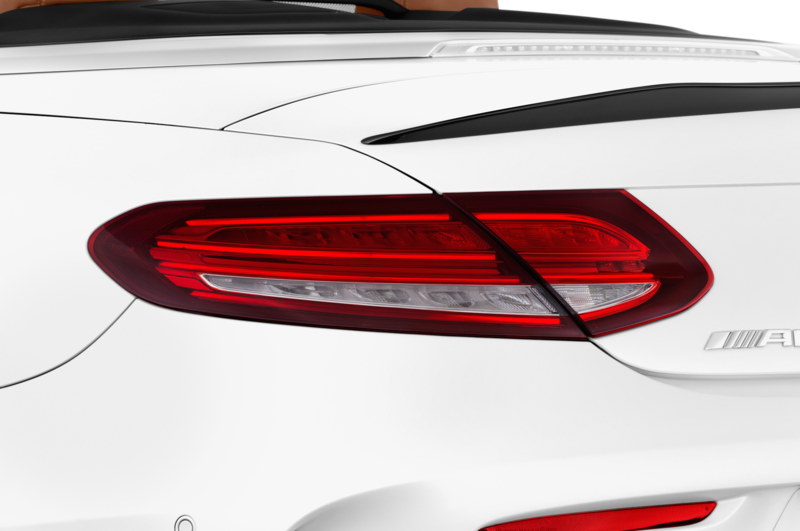 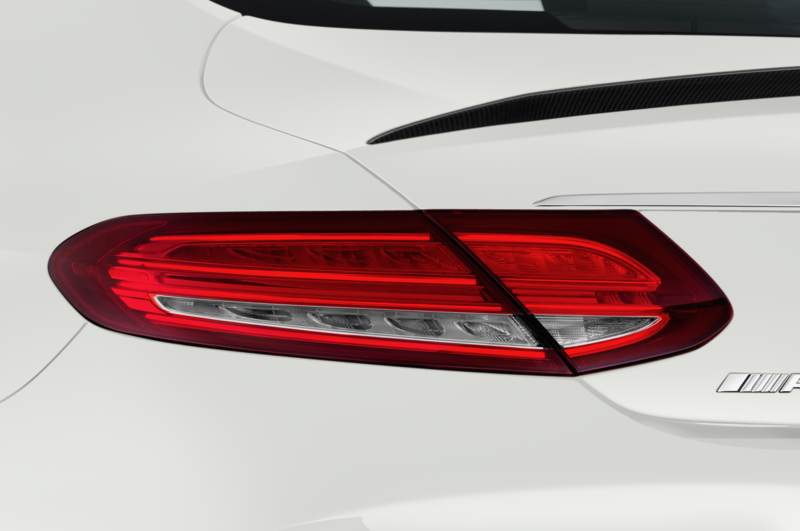 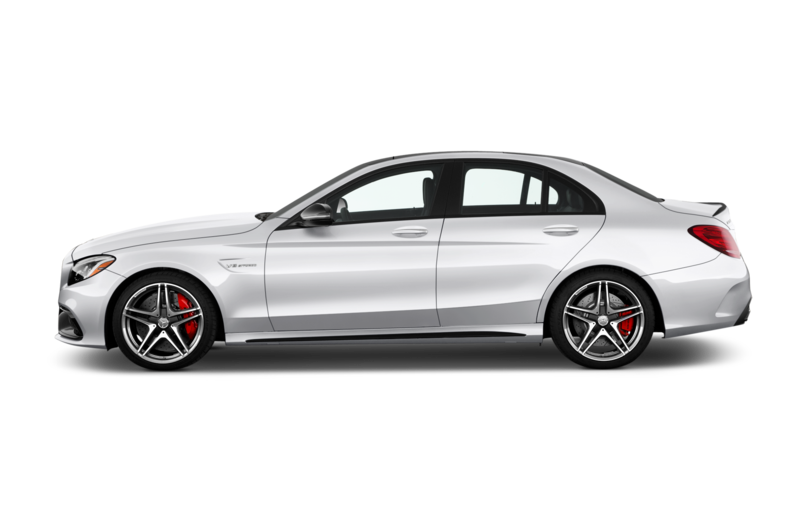 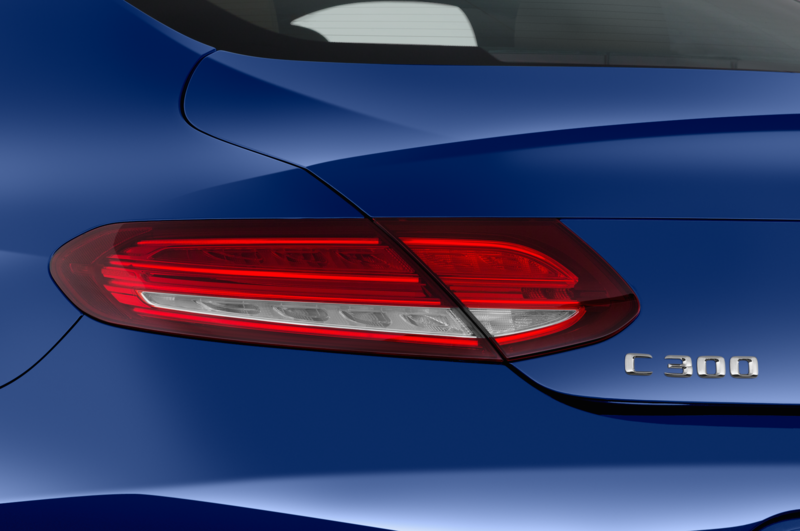 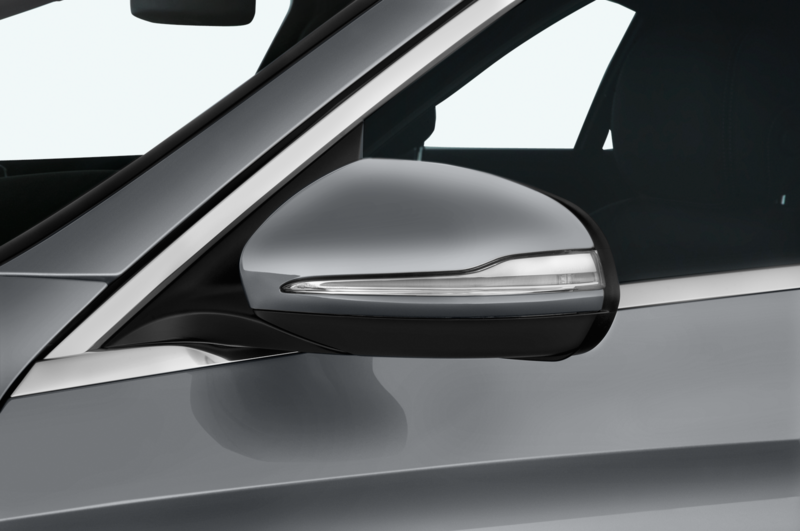 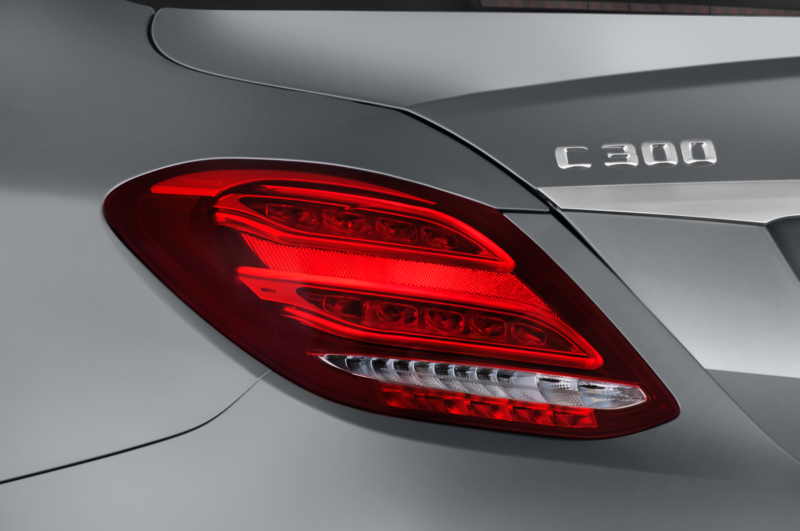 Under the right conditions, the new C-Class will be able to follow the car in front of it at a safe distance, maintain its lane, adjust its speed based on the speed limit, and change lanes with a tap of the turn signal. 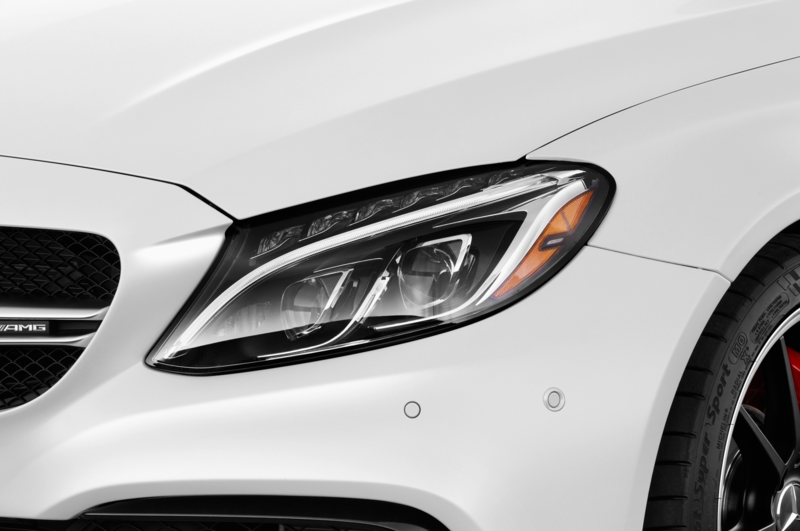 The system isn’t as advanced as Cadillac’s SuperCruise or Tesla’s Autopilot, nor is it remotely close to being fully autonomous, but it’s still impressive. 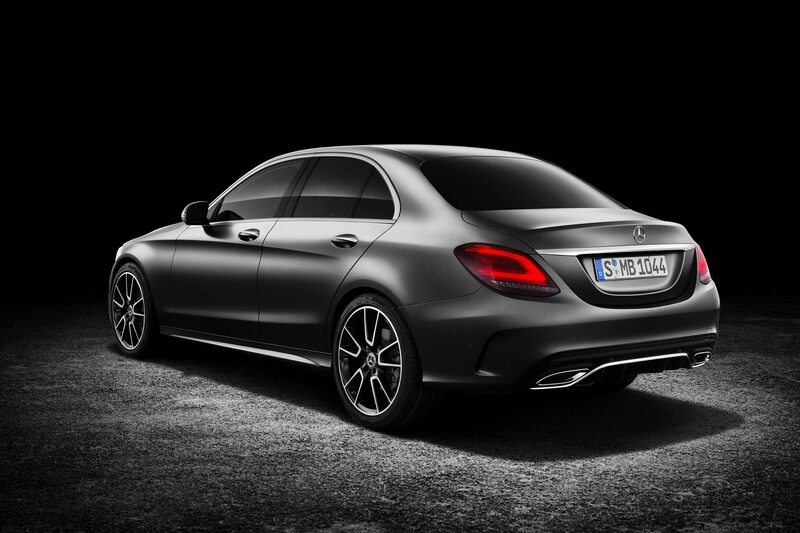 Pricing isn’t available at the moment, but Mercedes says it will officially reveal the refreshed C-Class at this year’s Geneva Motor Show before it goes on sale toward the end of 2018.